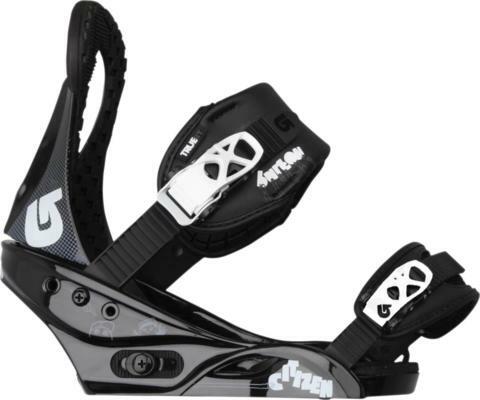 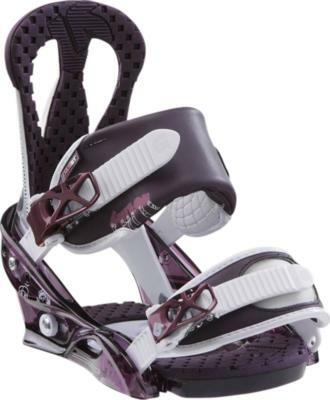 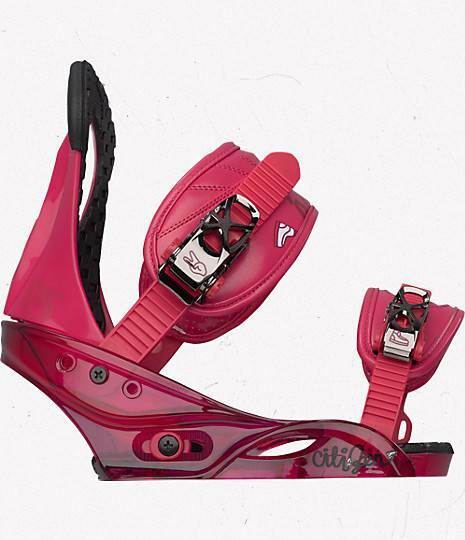 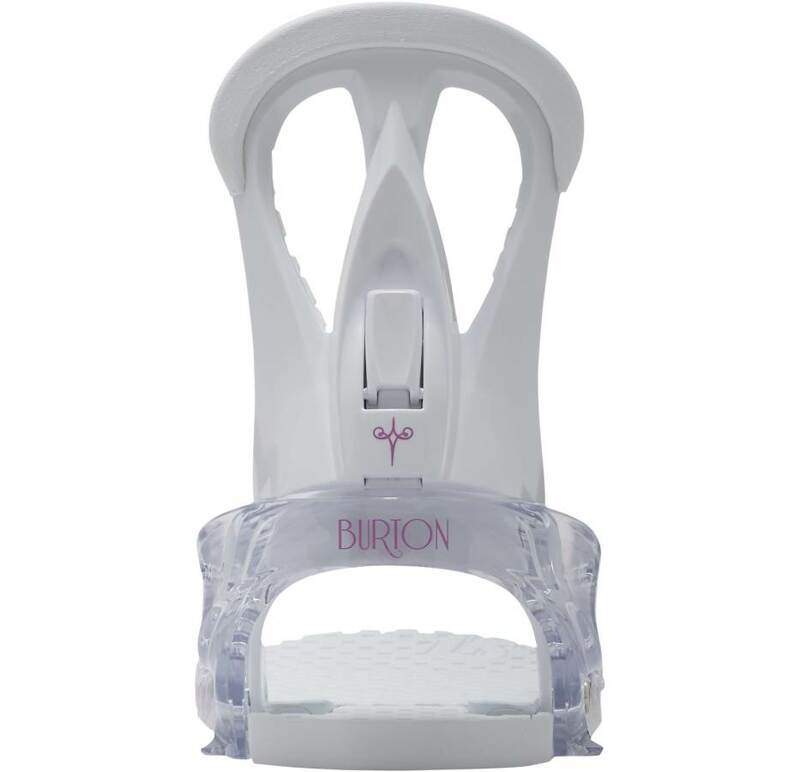 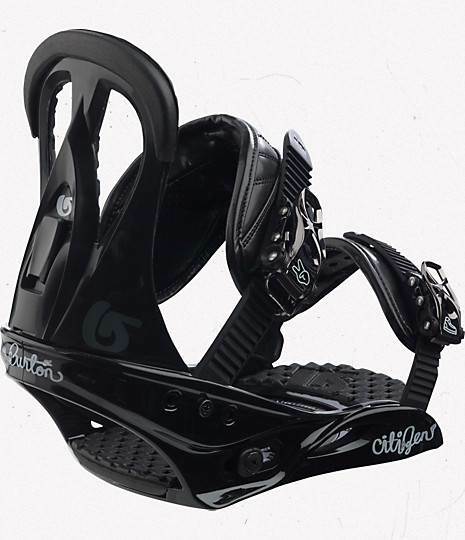 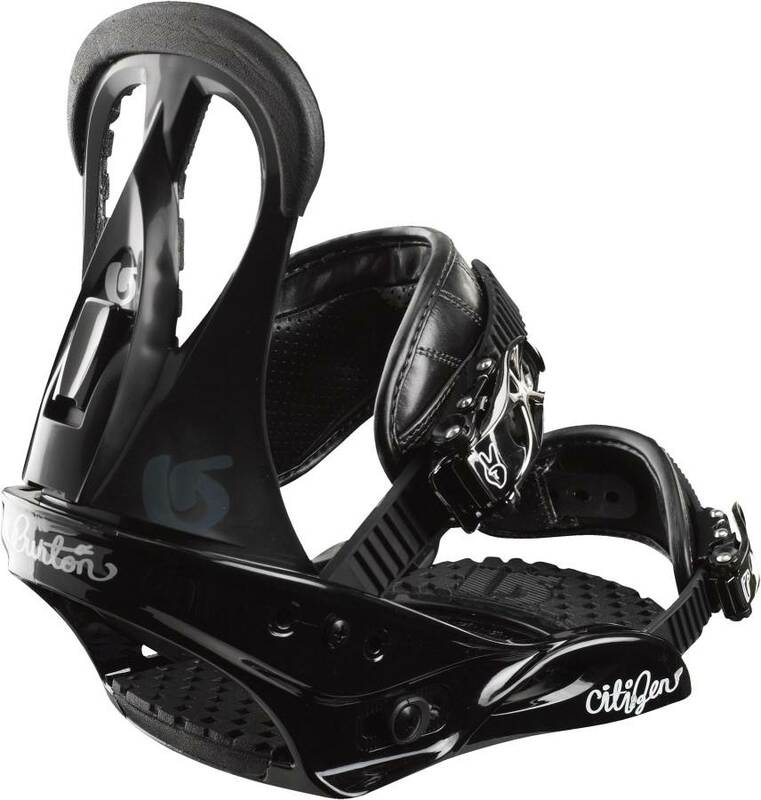 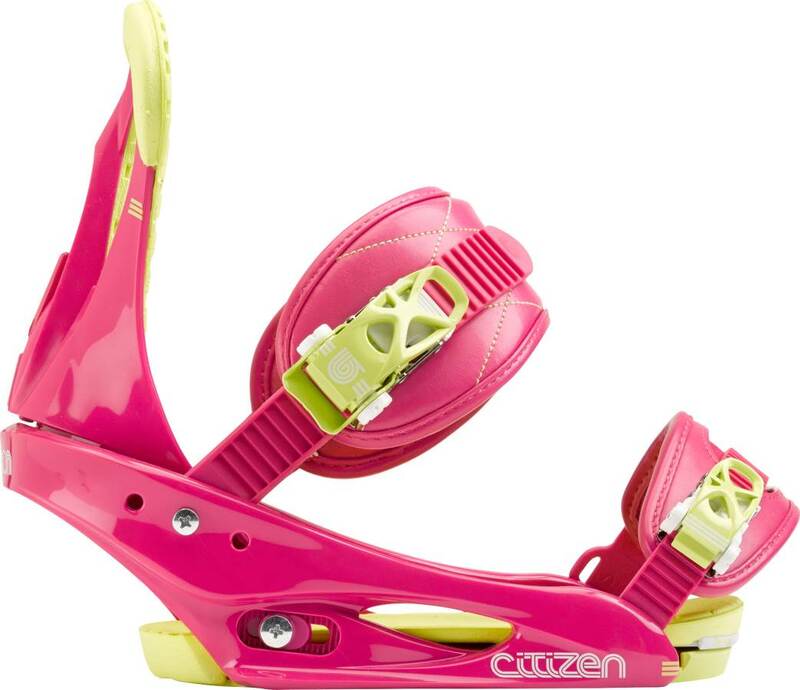 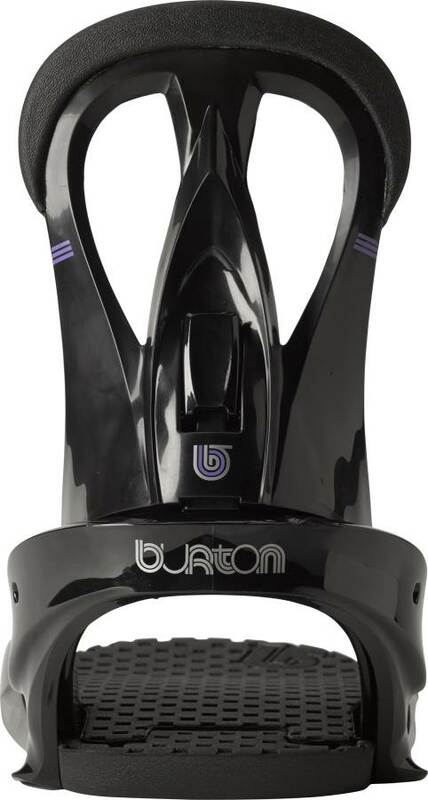 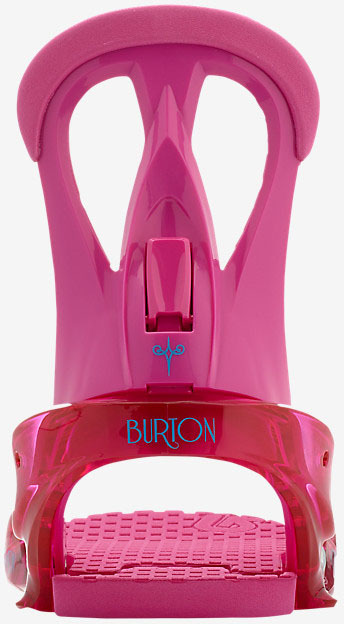 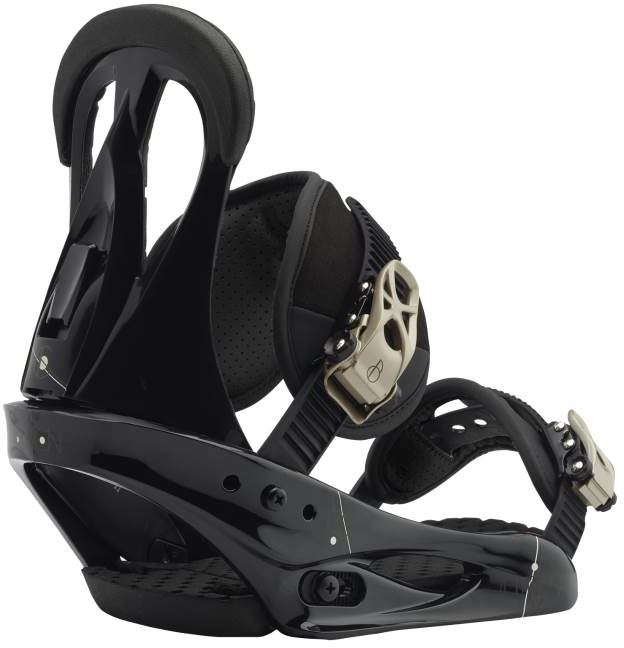 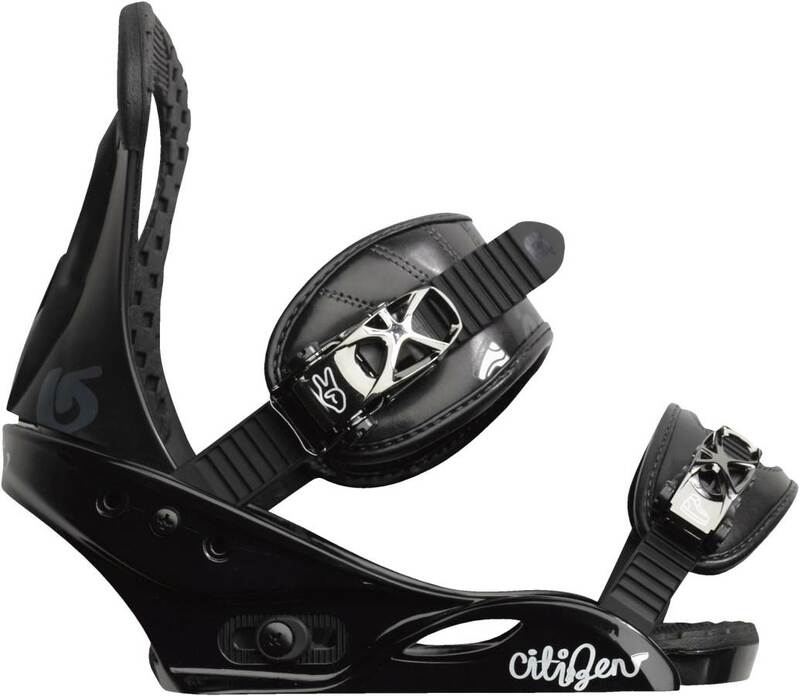 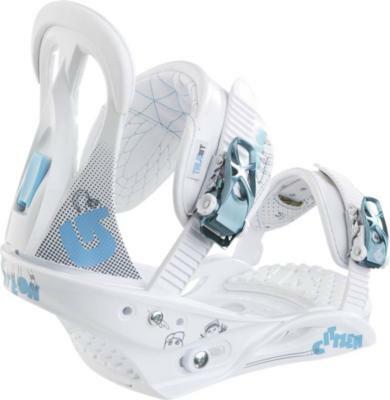 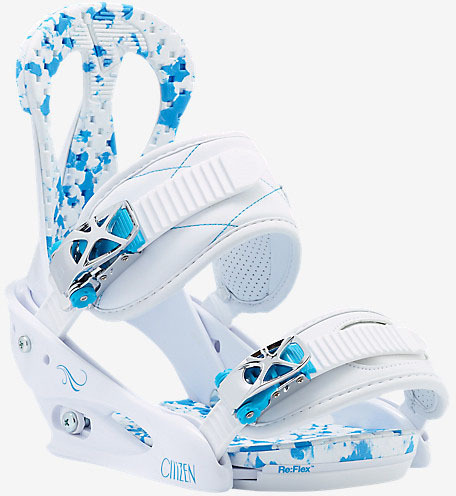 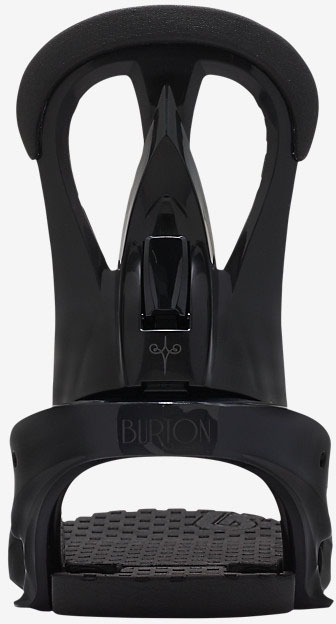 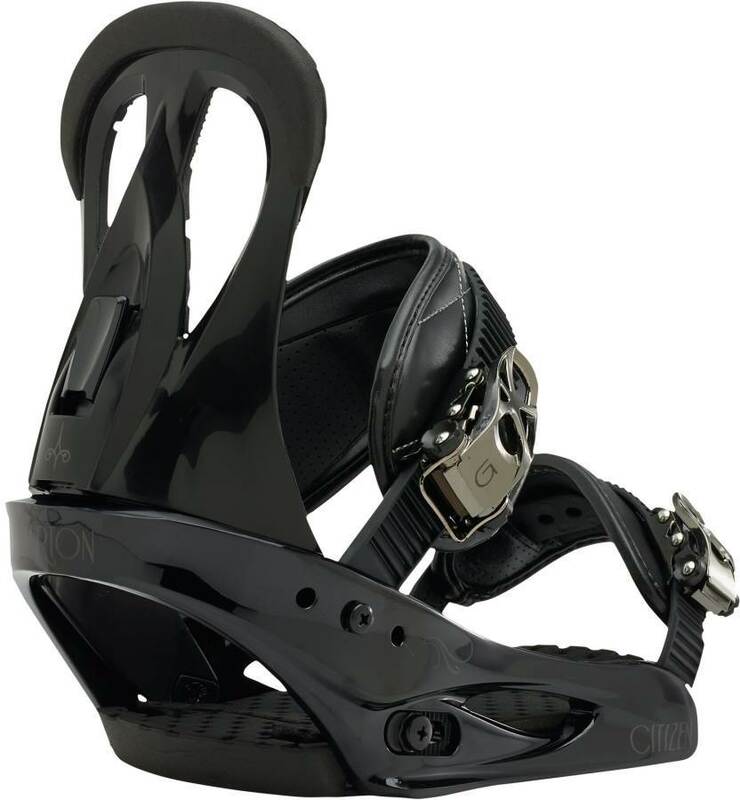 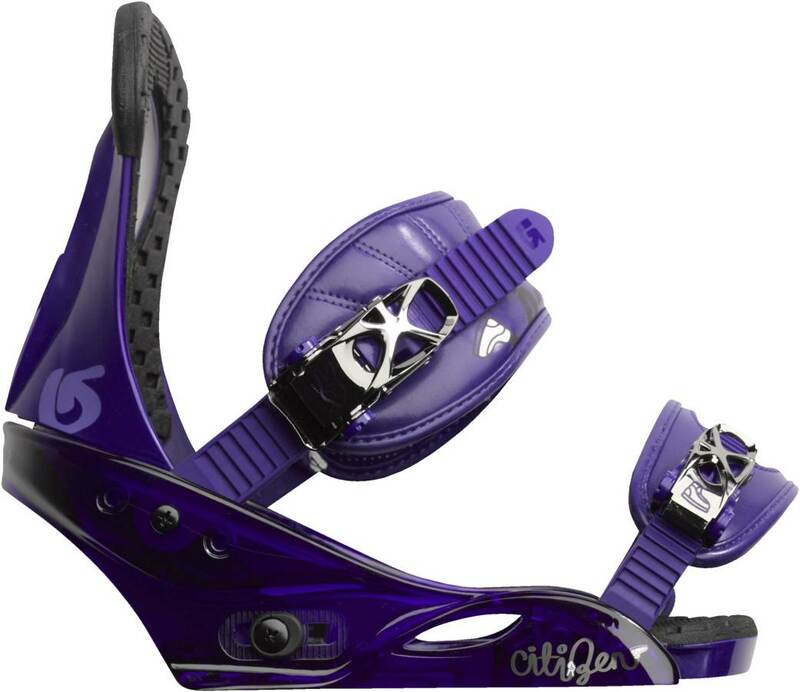 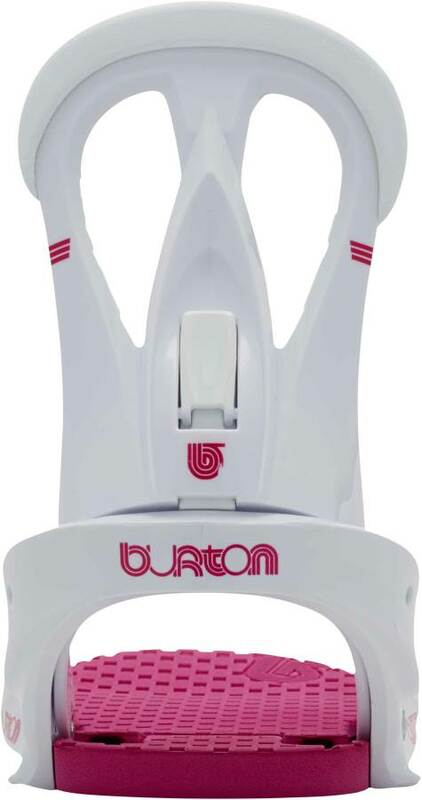 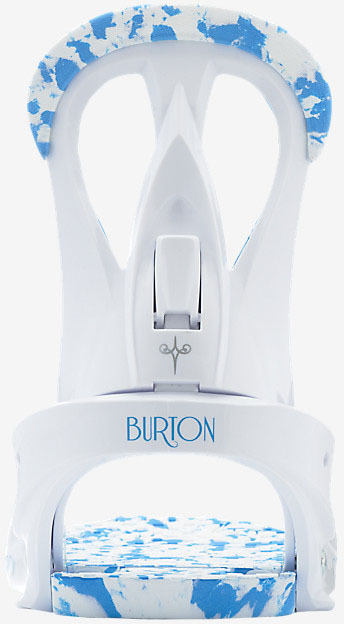 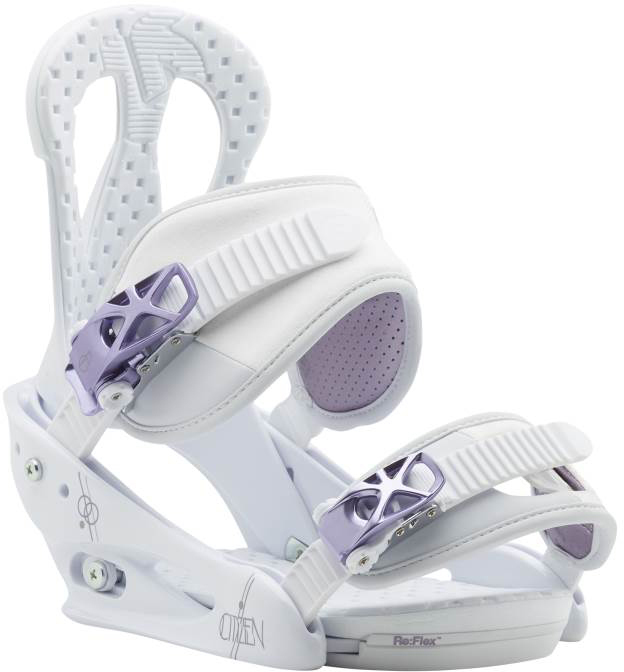 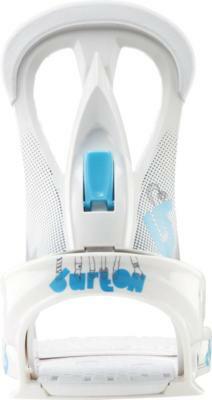 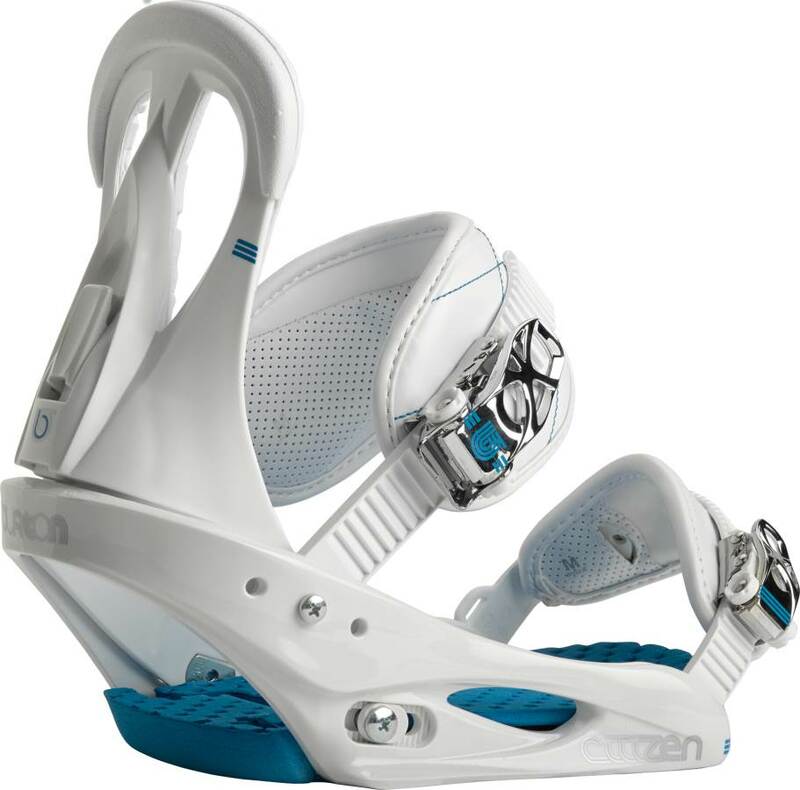 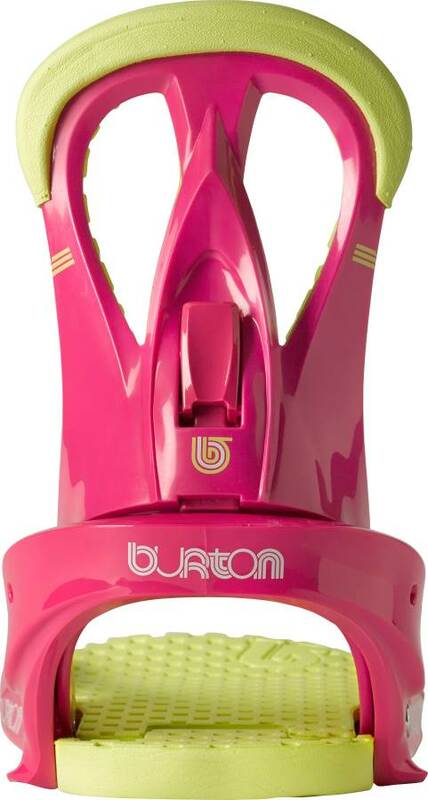 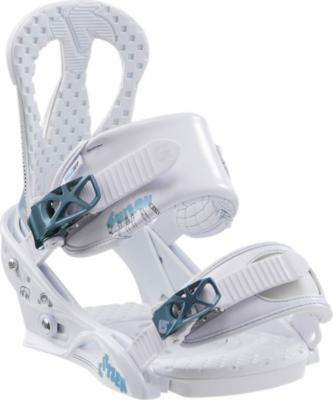 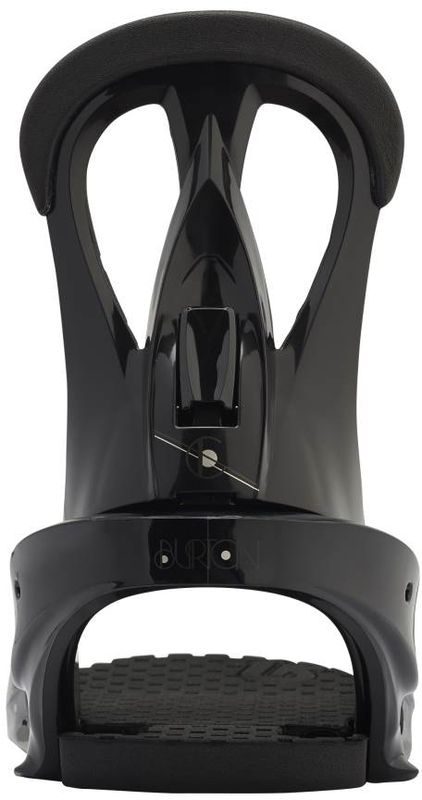 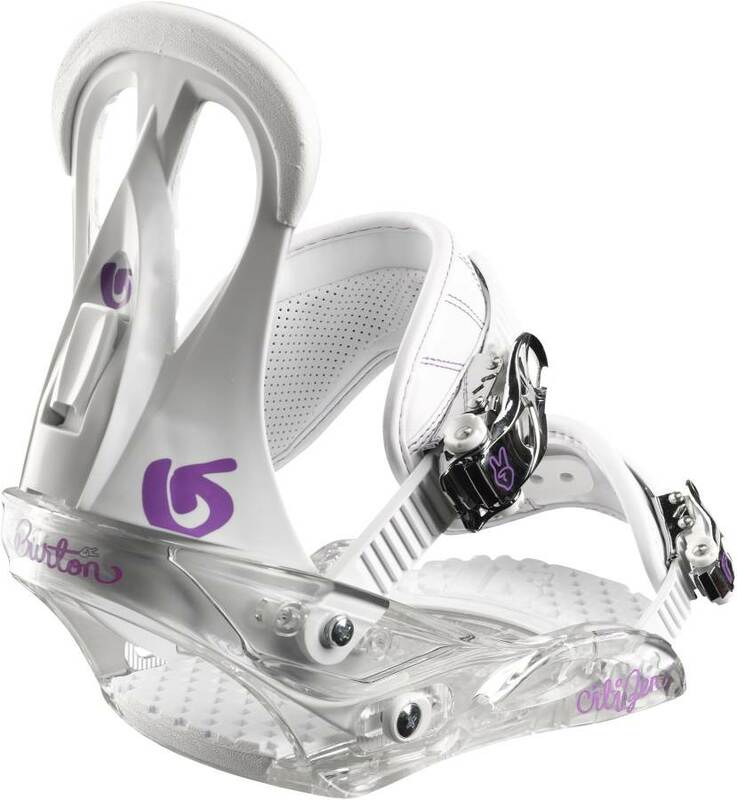 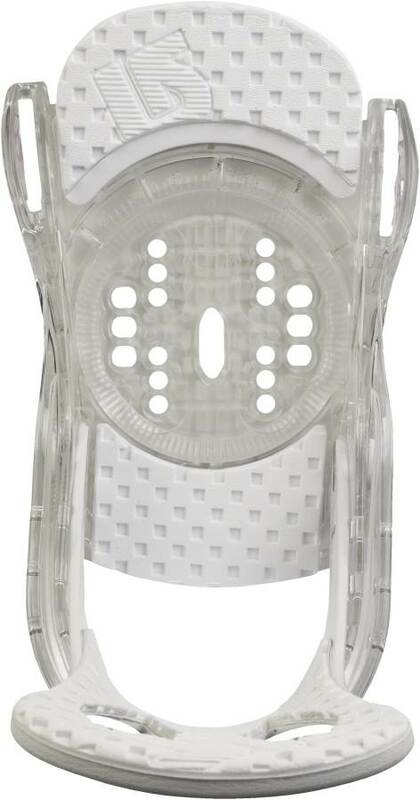 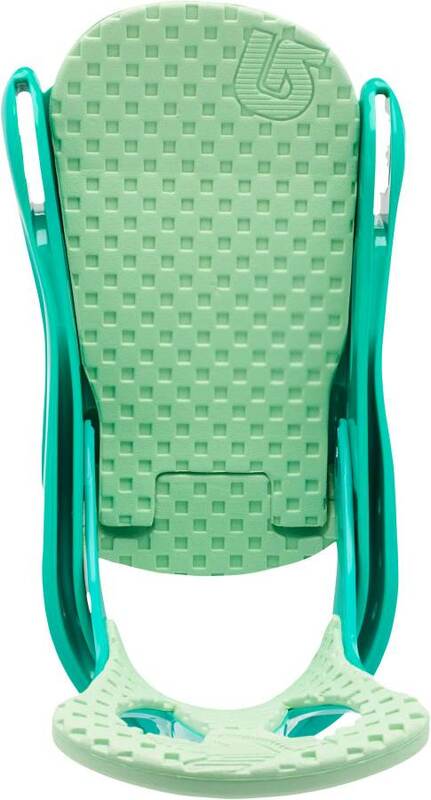 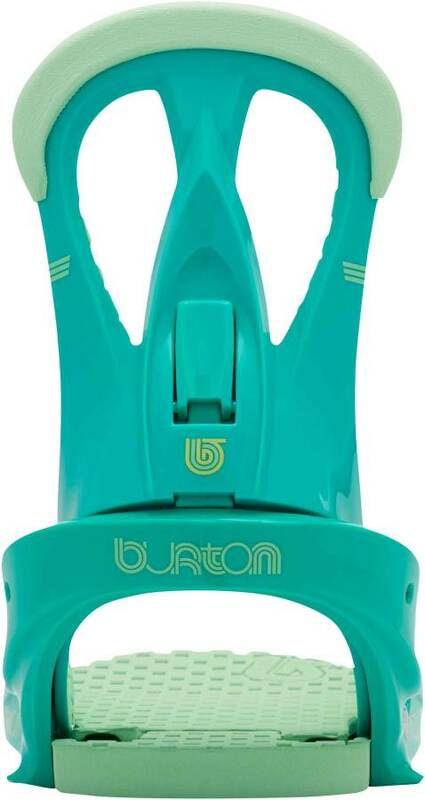 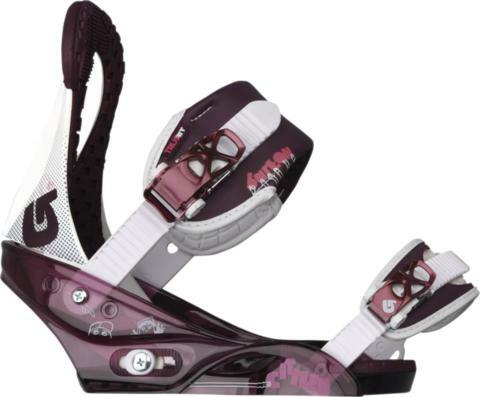 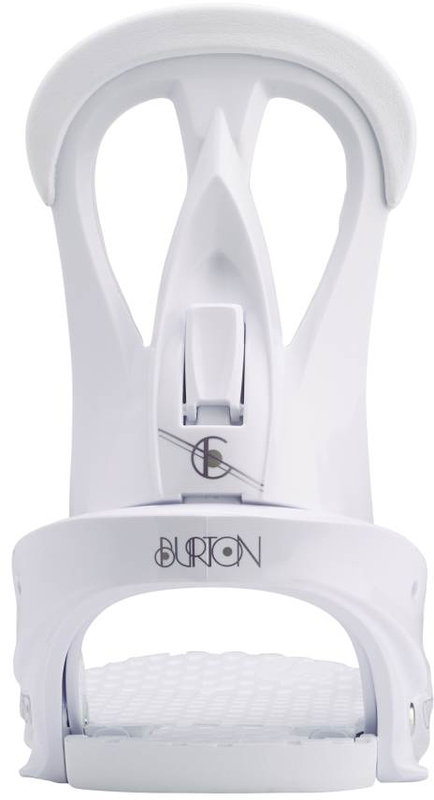 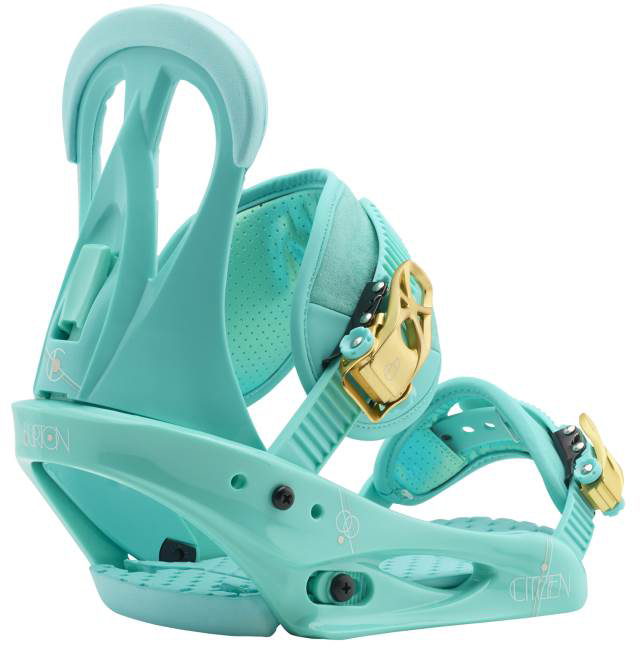 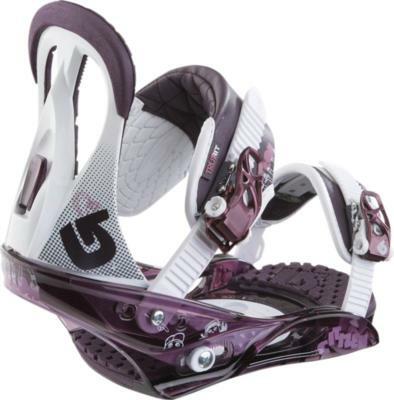 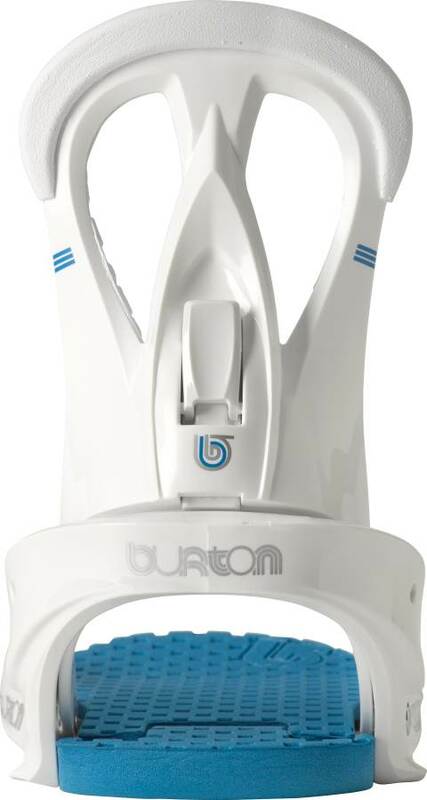 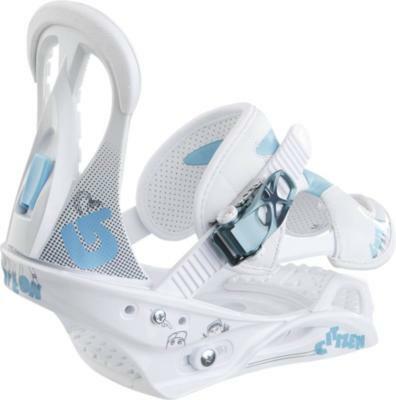 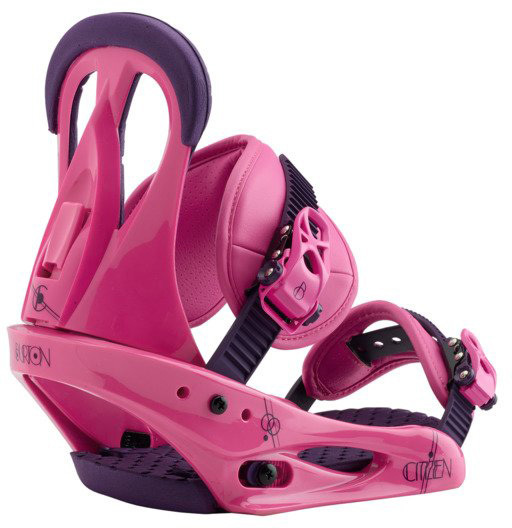 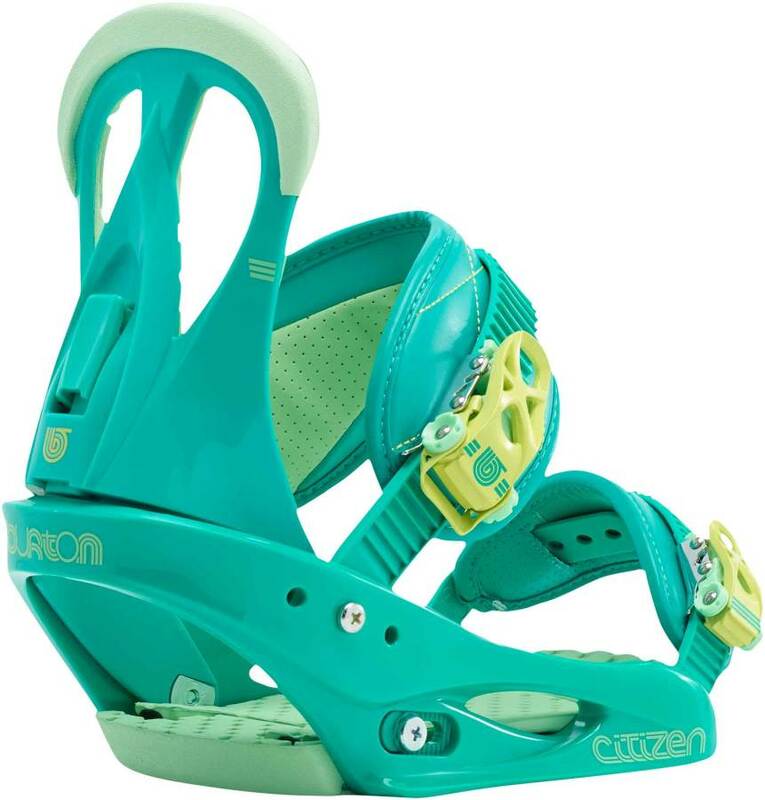 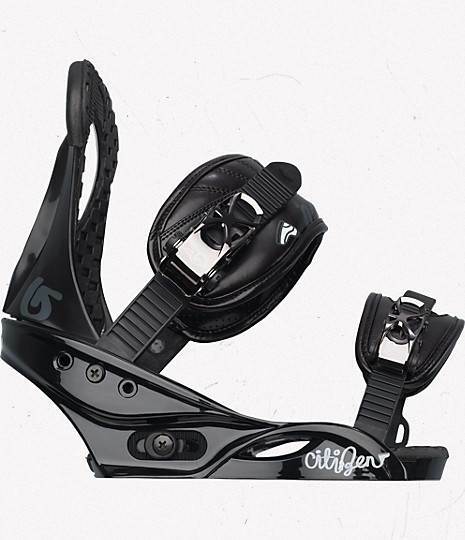 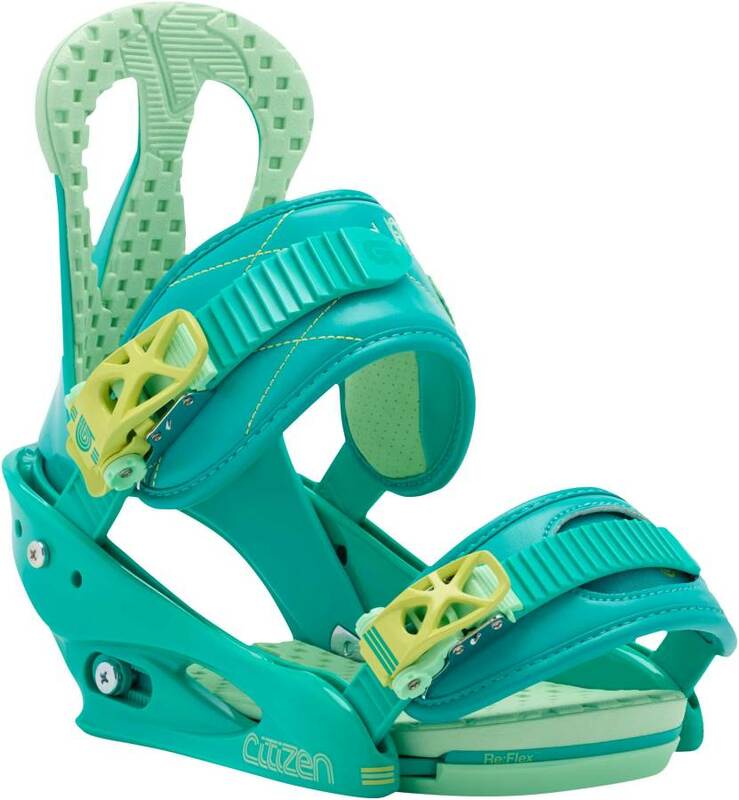 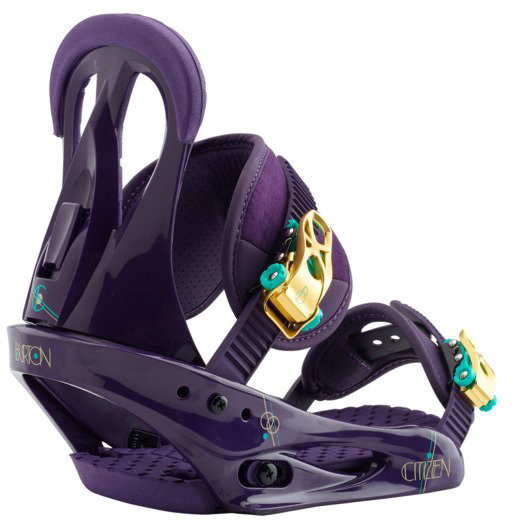 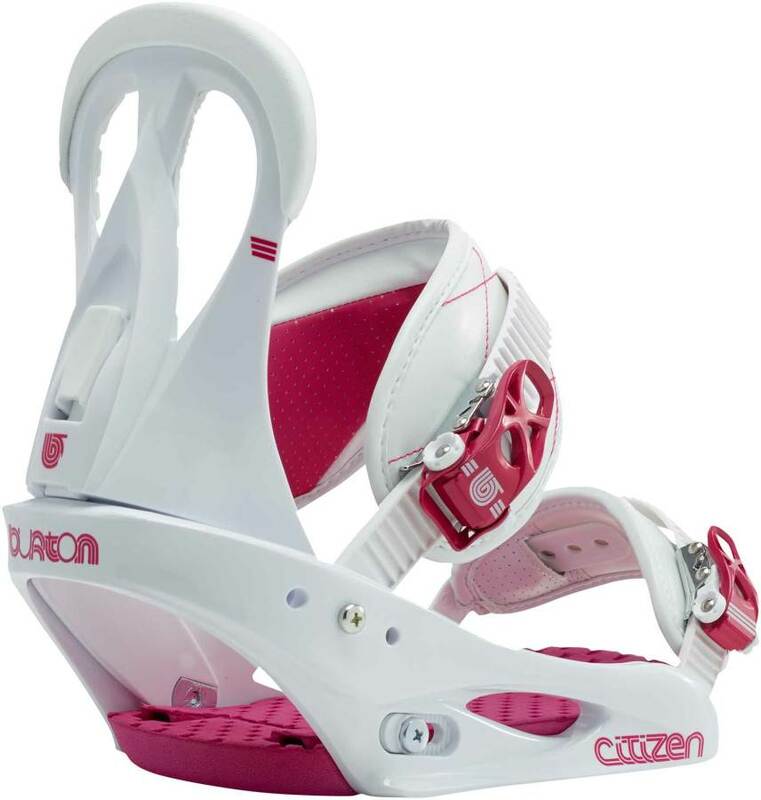 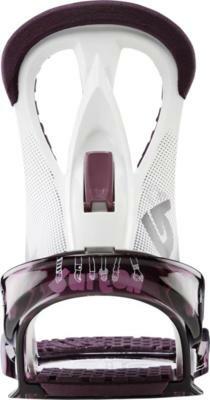 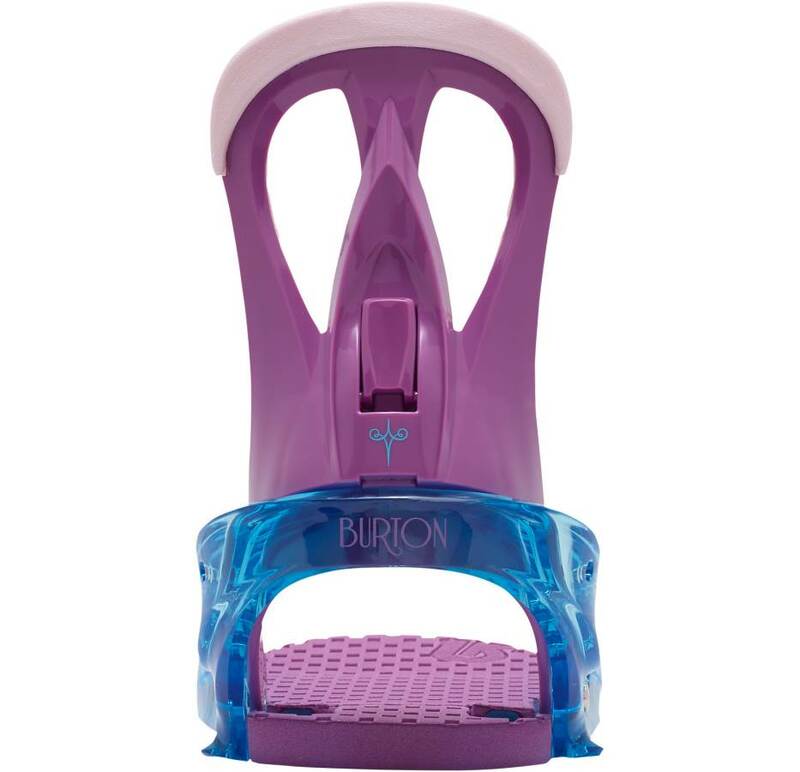 The Burton Citizen is one of the best beginner bindings out there. 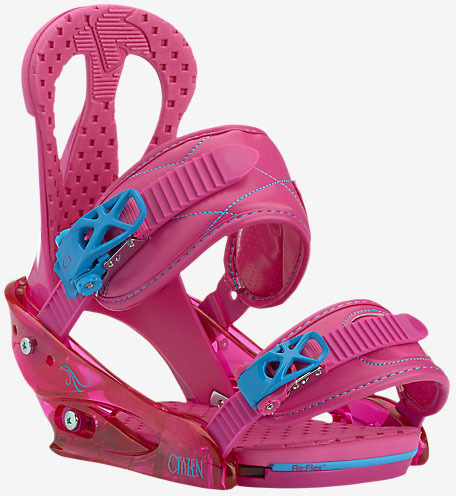 Does that mean that it’s more than a beginner binding? 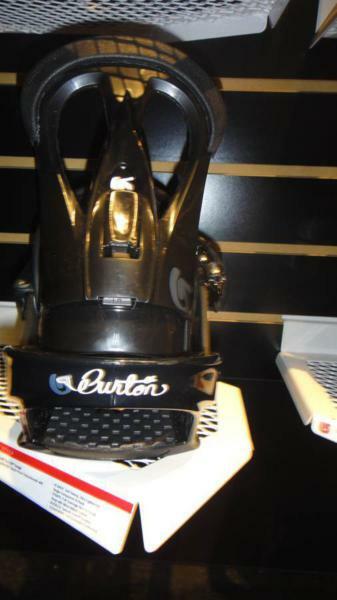 We don’t think so and it still doesn’t offer that much compared to the other Burton bindings. 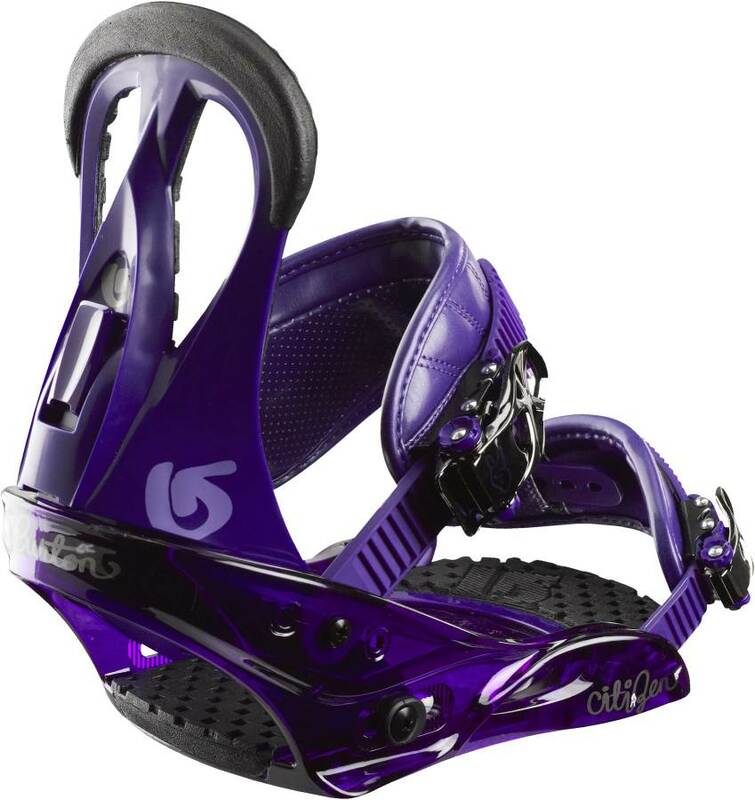 However it much better than your average rental and having your own equipment brings consistency to your learning process. 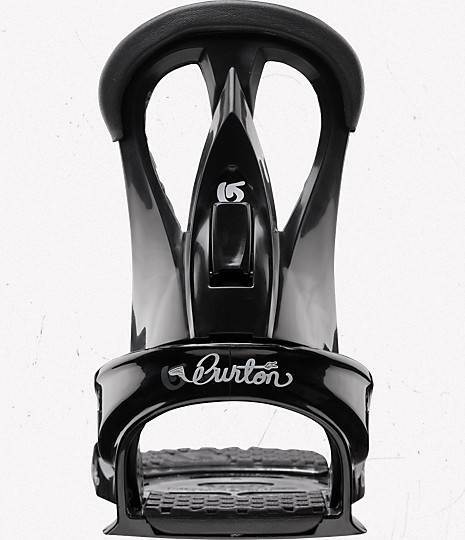 The 2014 Burton Citizen has a nice change to it this year which is a bit overdue. 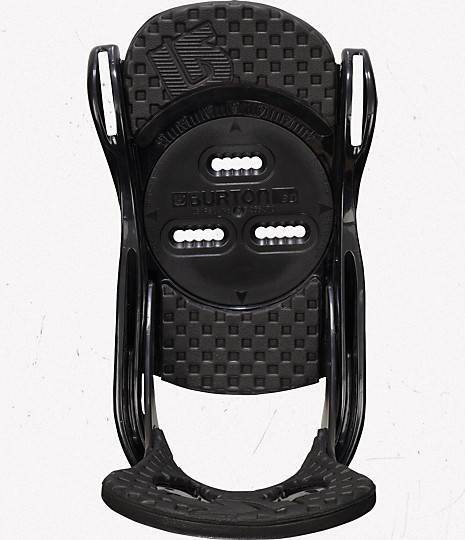 It’s gone Re:Flex and that means it allows the board to flex better underfoot and it improves the overall feel of your ride. 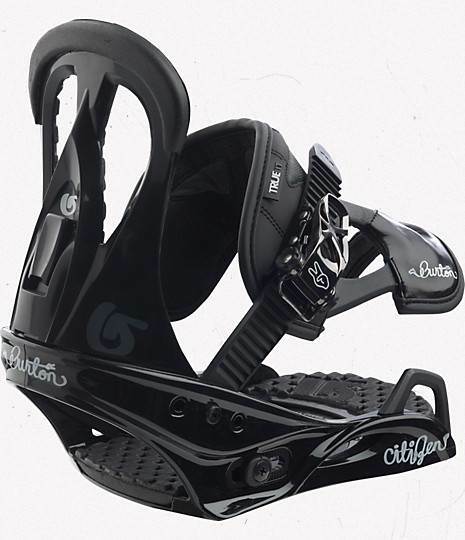 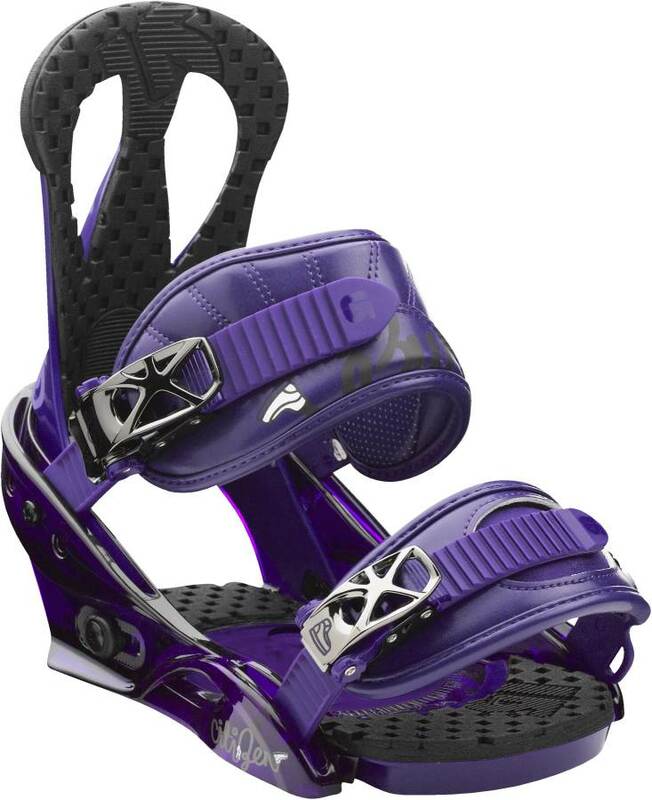 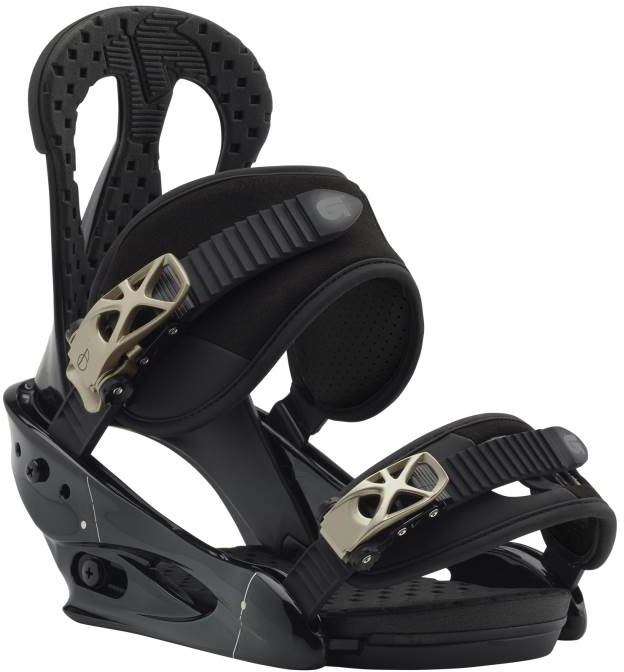 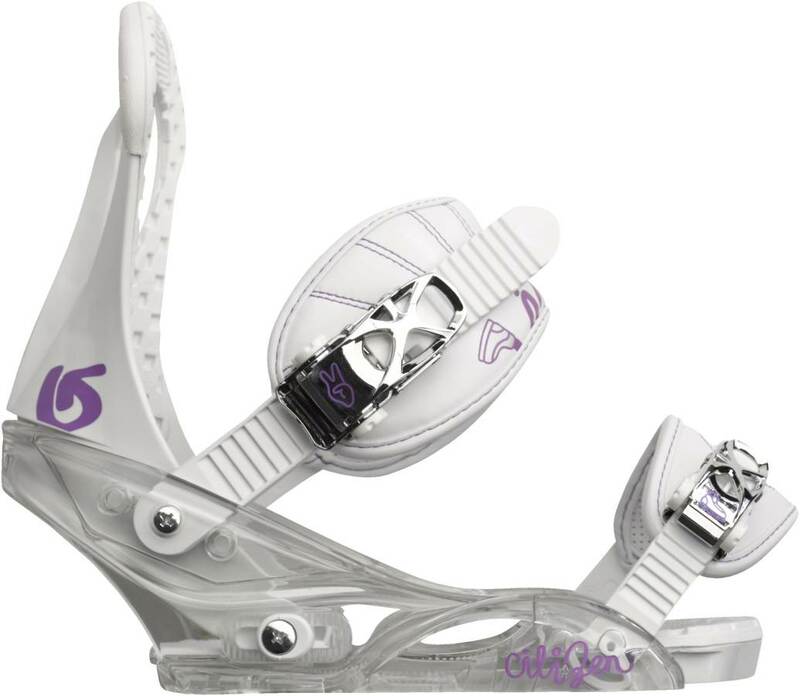 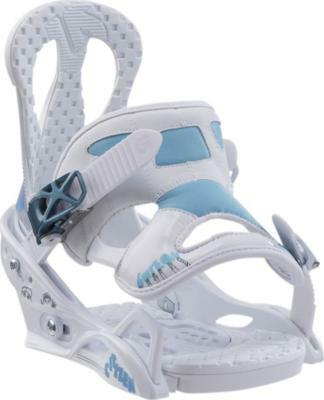 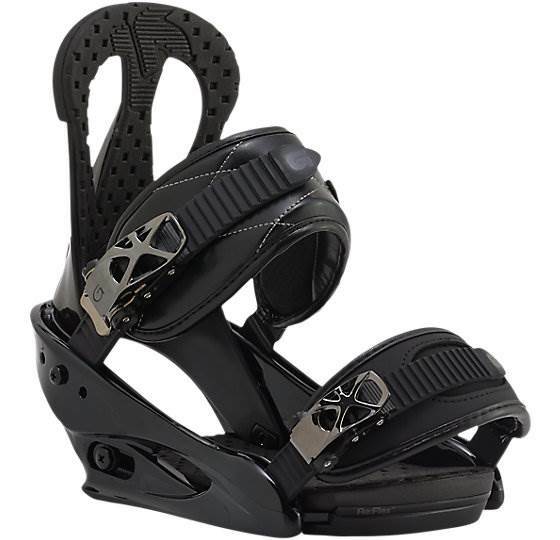 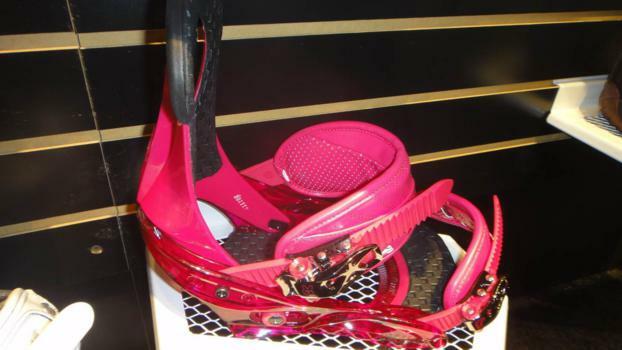 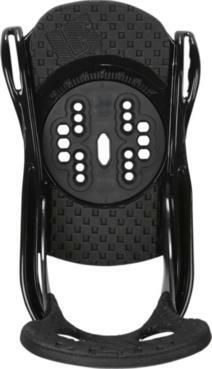 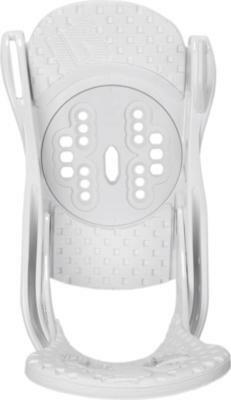 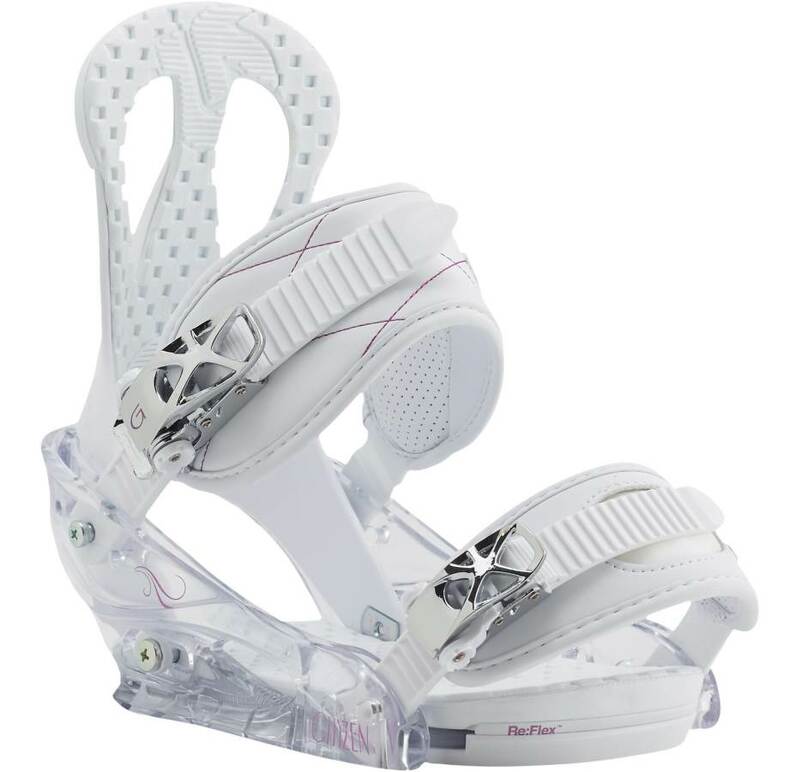 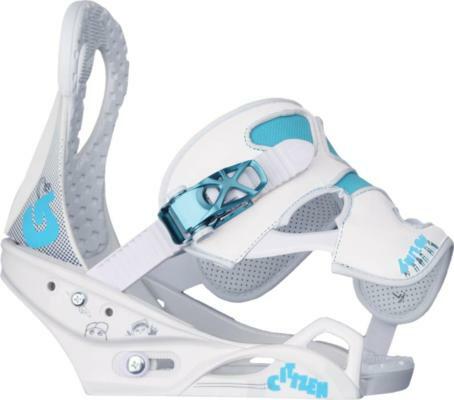 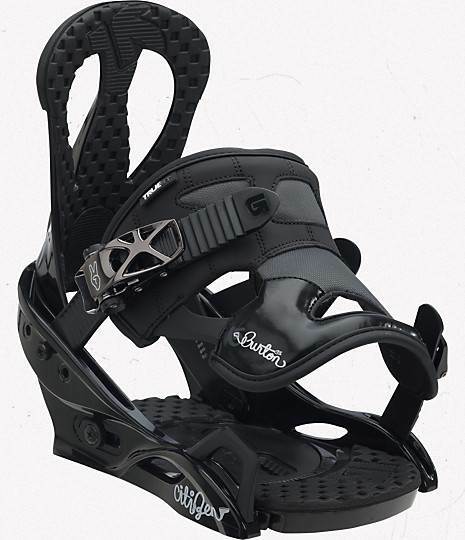 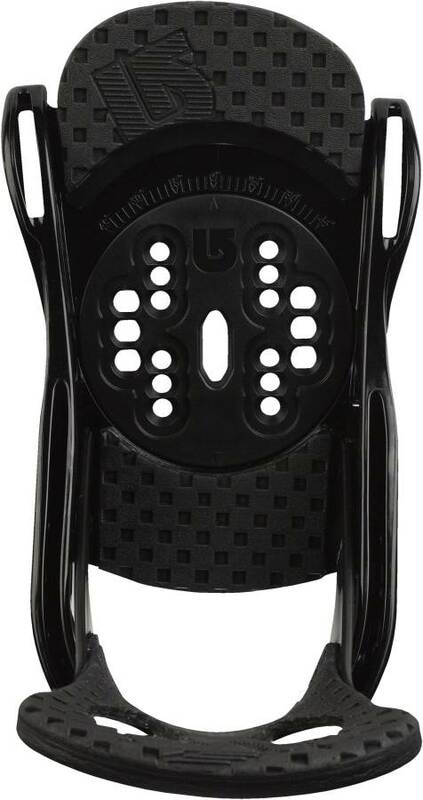 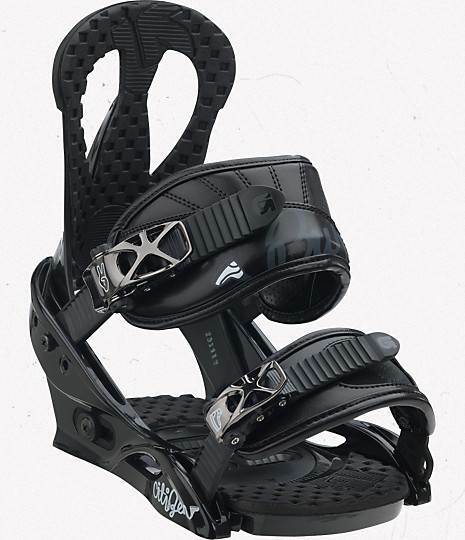 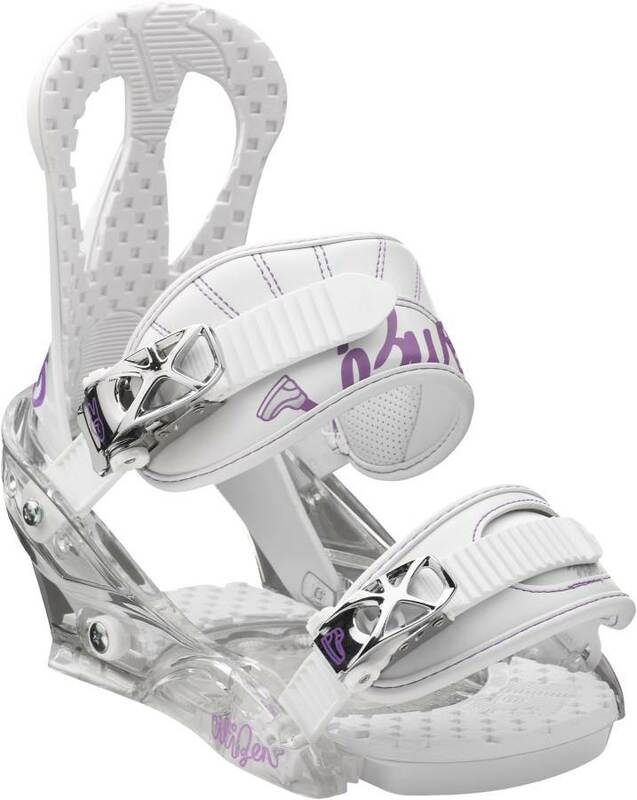 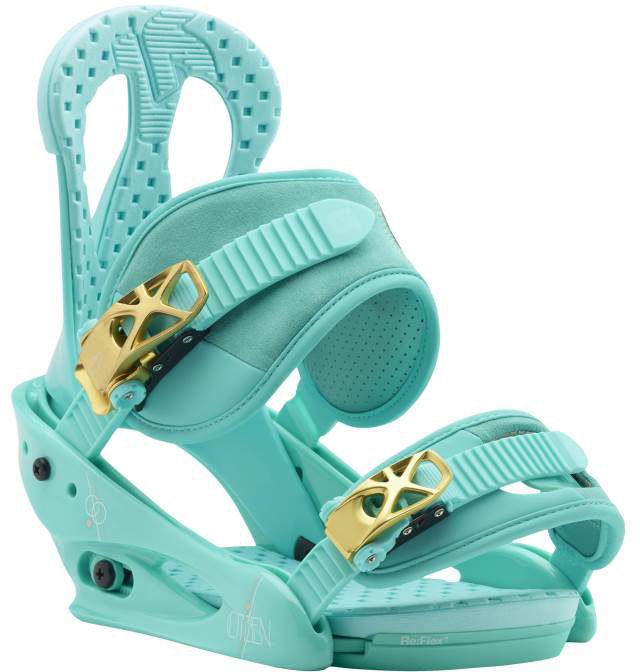 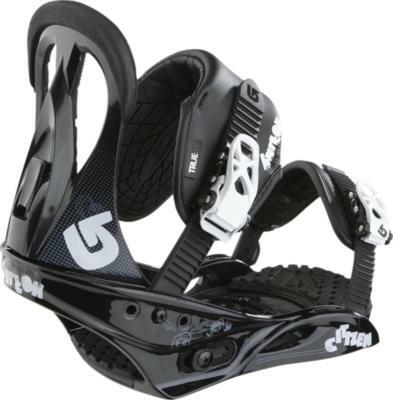 It’s not the same Re:Flex tech as the high-end Burton bindings but it’s a huge improvement over the old disc binding. 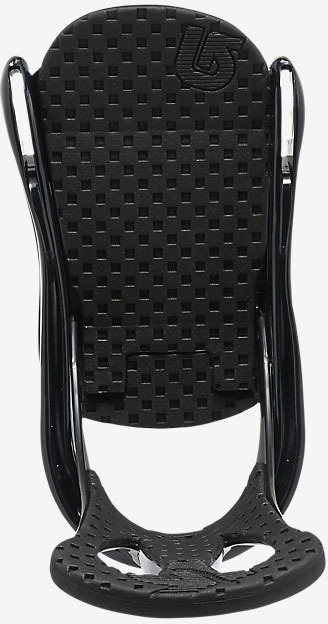 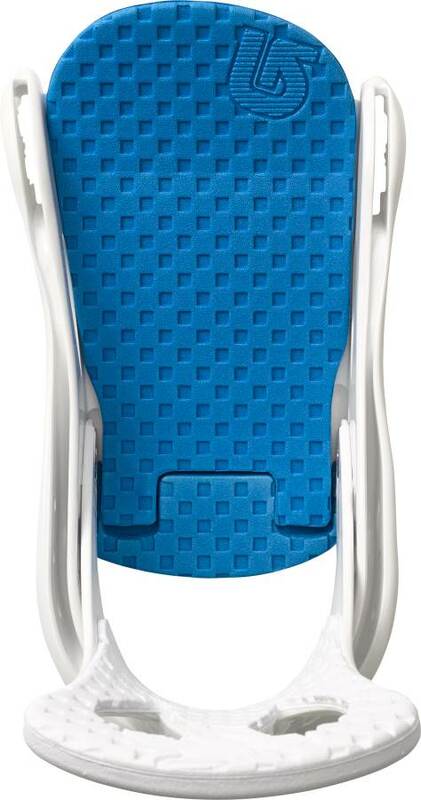 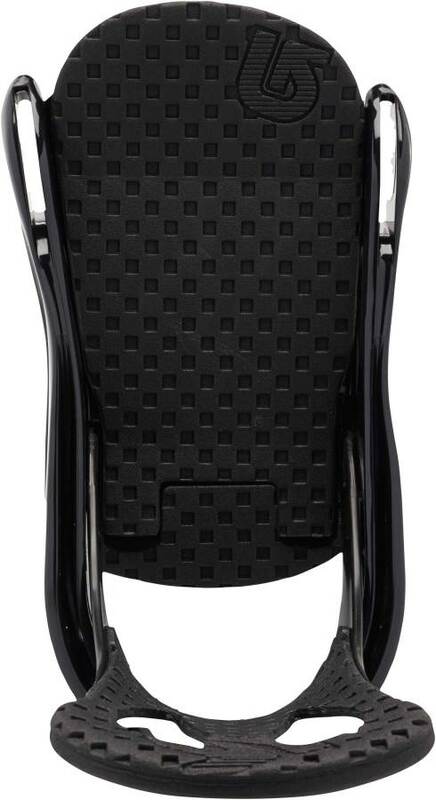 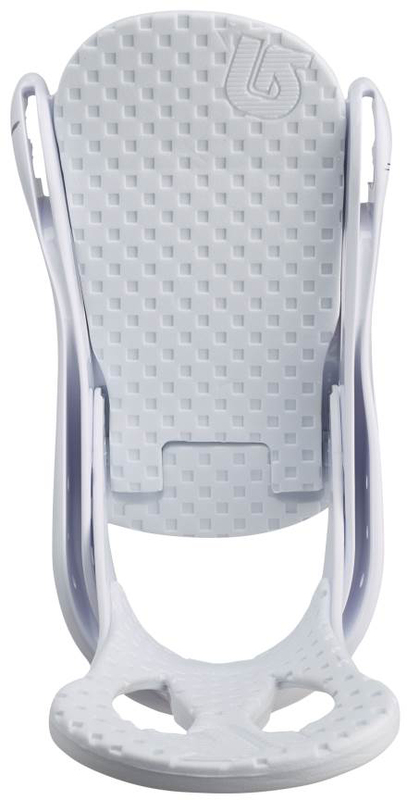 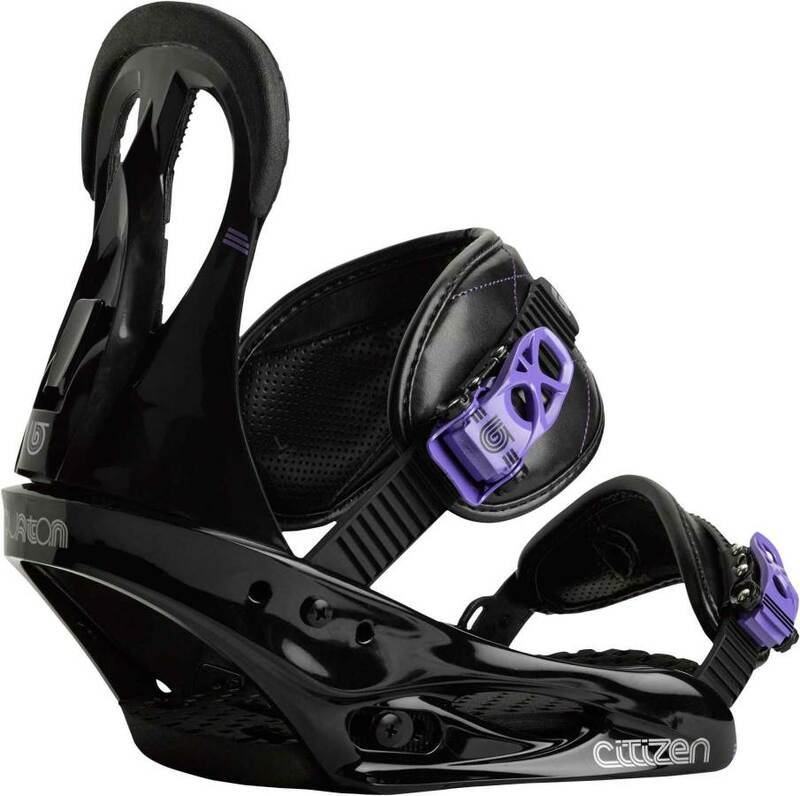 Adjustability and Comfort: The Citizens straps are at a higher quality than what you normally get as well. 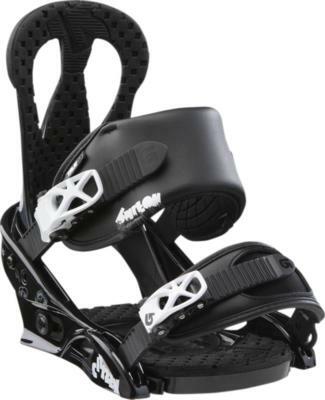 Even Burton’s low-end bindings aren’t that bad when it comes to comfort. 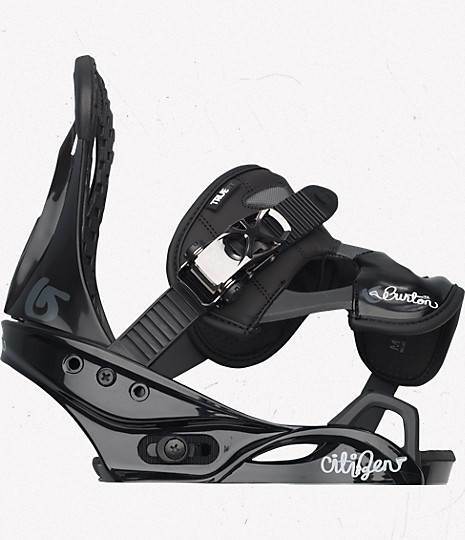 Heel to Toe Response- The 2014 is just a tiny bit better edge to edge. 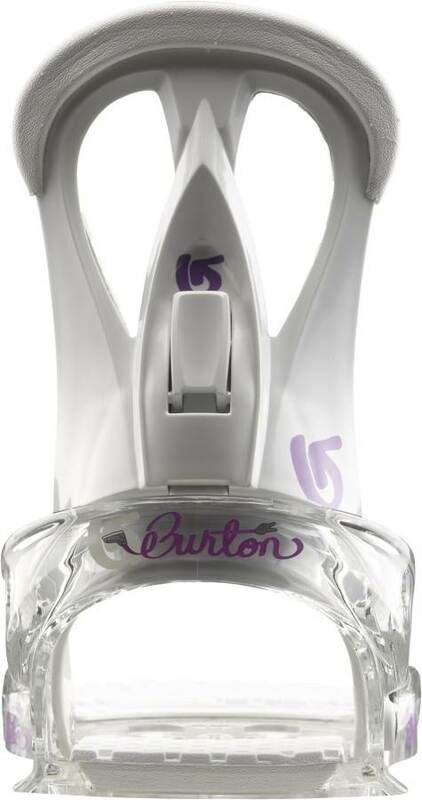 It’s decent edge to edge and it has Burton’s older technology which was really good back in the day but now it’s not that good compared to the higher end bindings. 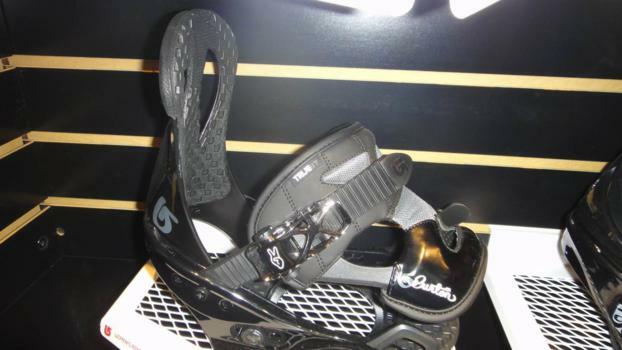 Still, it can get a soft to even some medium boards edge to edge pretty well for this price range. 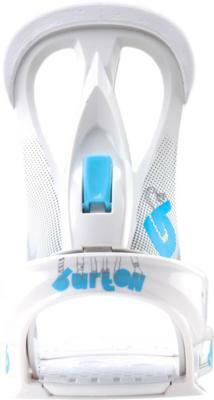 Tip to Tail Response– The 2014 Burton Citizen has great response tip to tail. 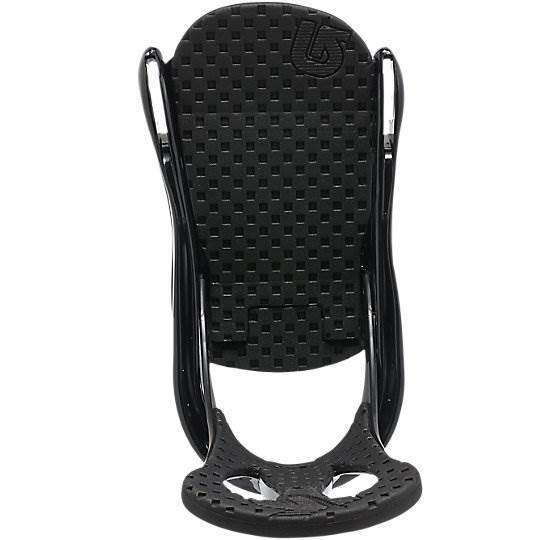 The 2013 and below had not the best flex underfoot to allow the board to flex naturally when buttering around and it creates a dead spot under each foot. 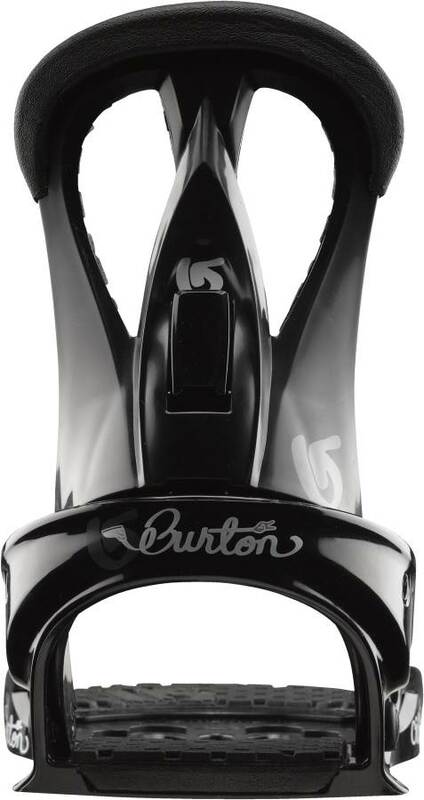 Most Burton boards don’t do this because they have re:flex tech. 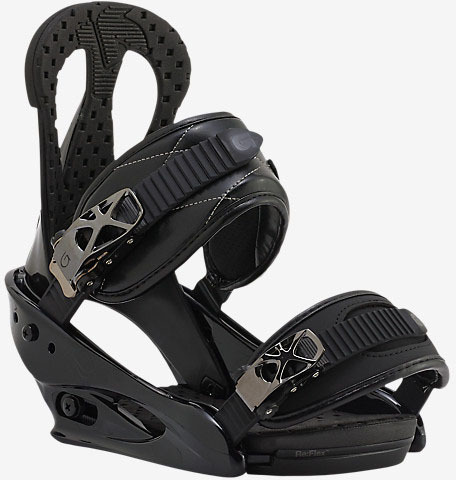 Boot Support: Good support that holds in place while still giving you a little freedom of movement. Ratchet System: Very good ratchets for this price range. 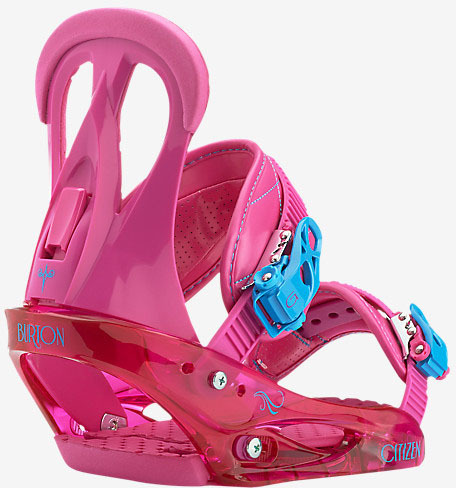 You shouldn’t have to worry about the ratchets sticking. 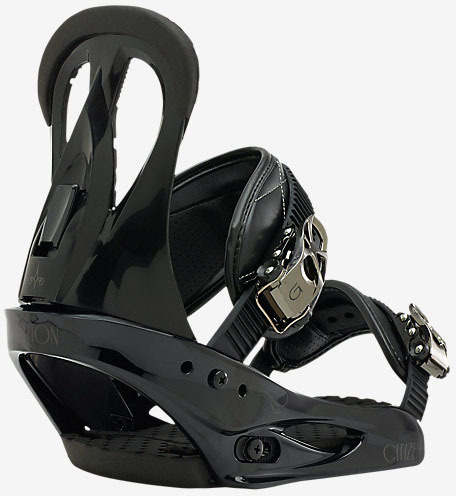 They should come on and off without any effort. 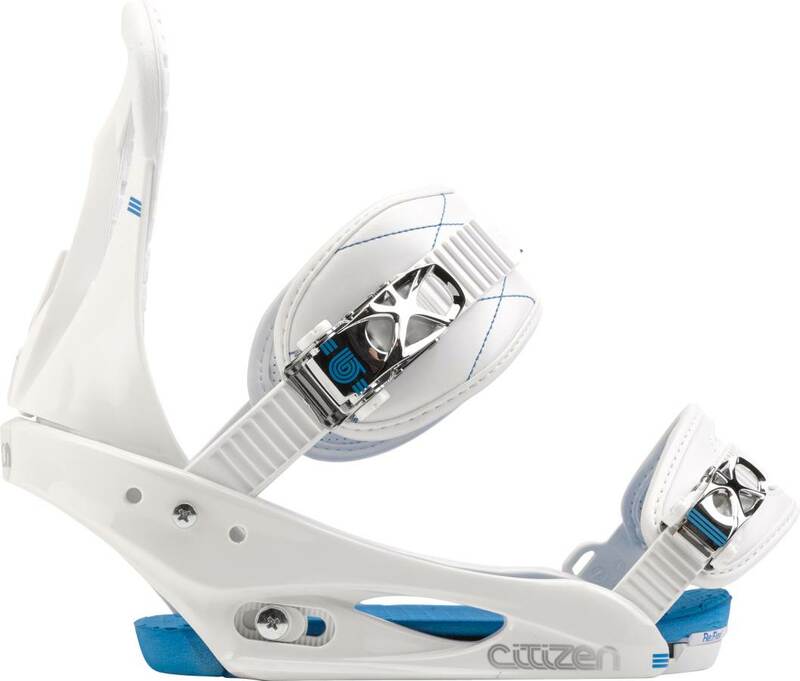 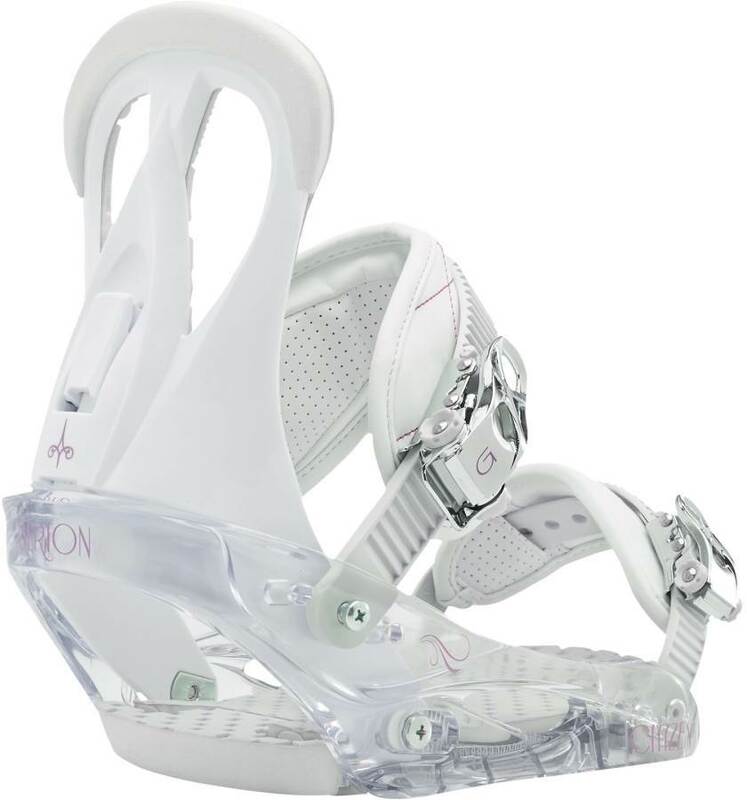 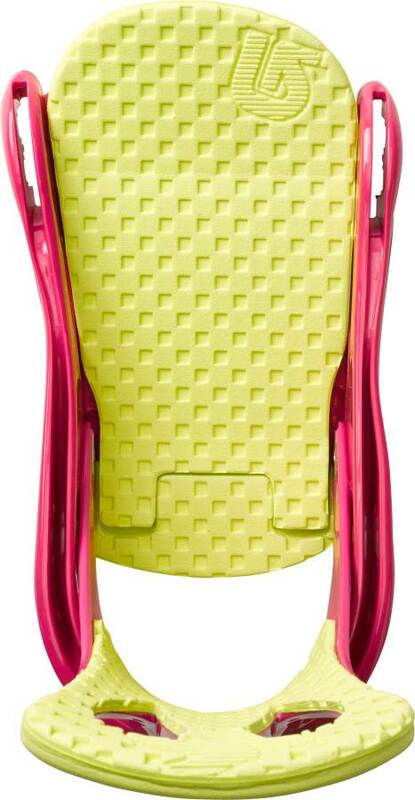 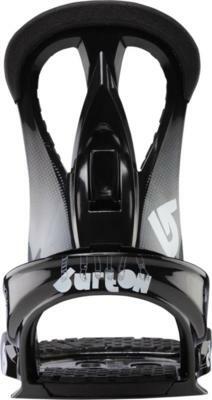 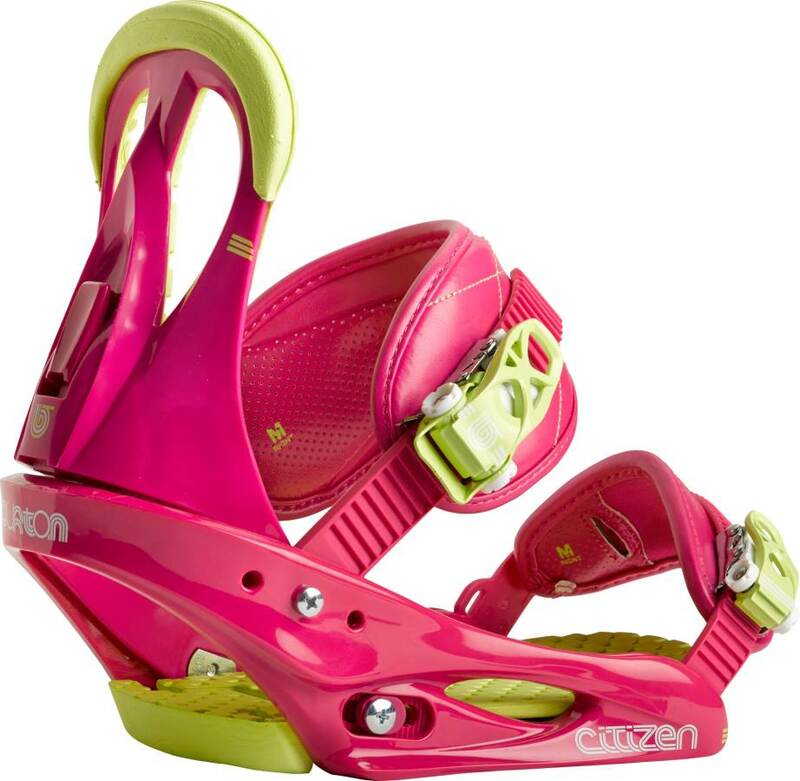 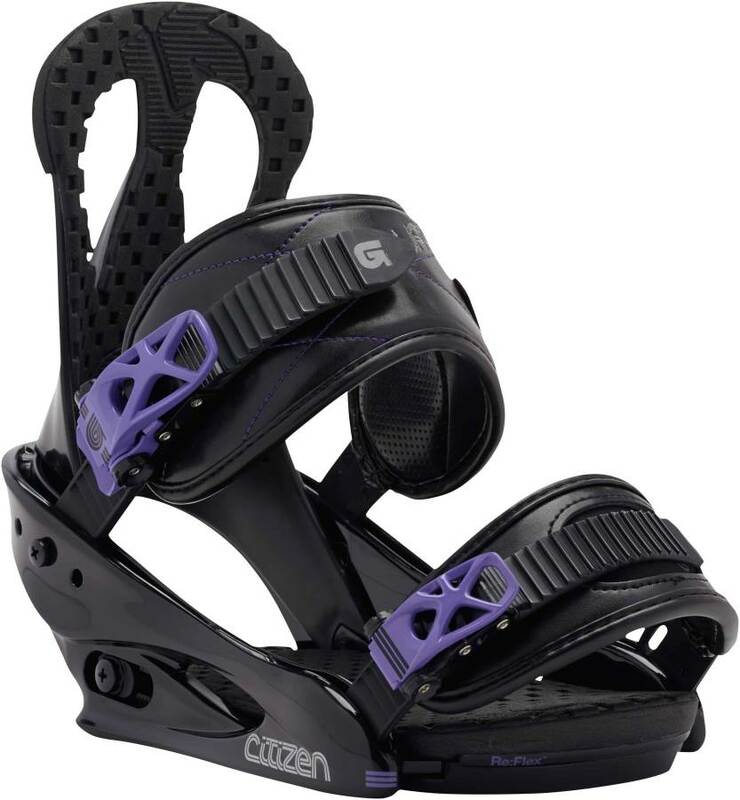 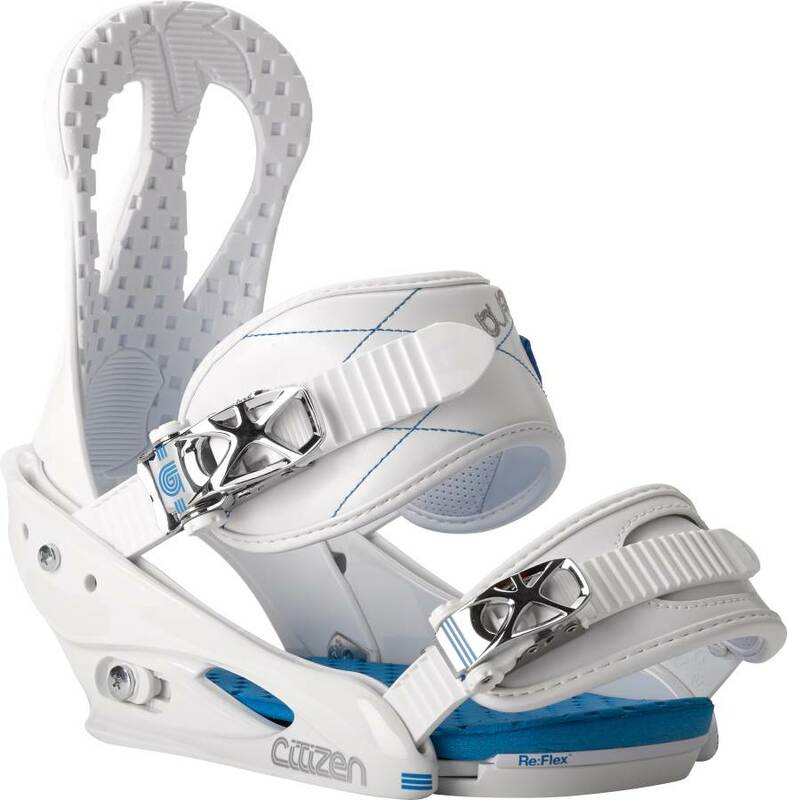 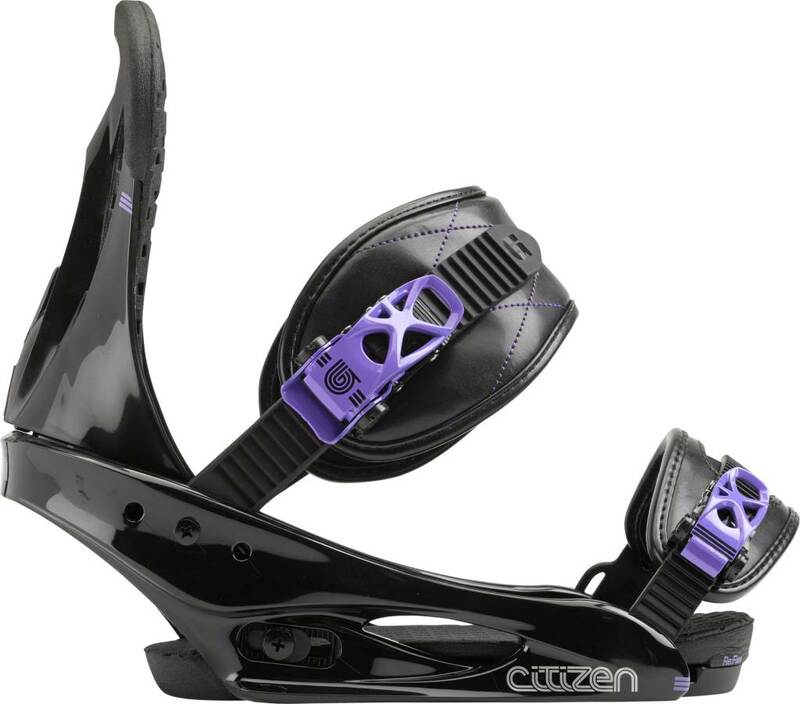 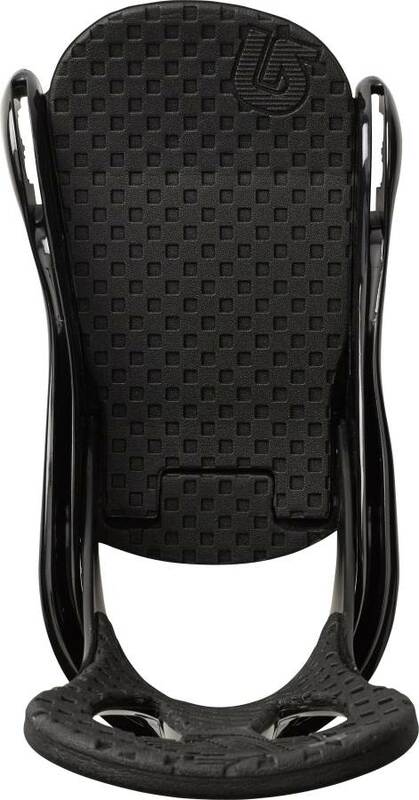 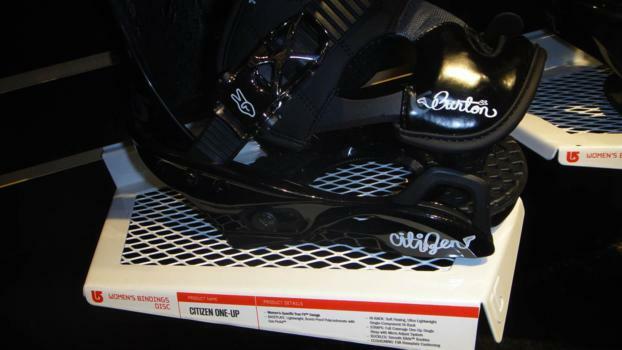 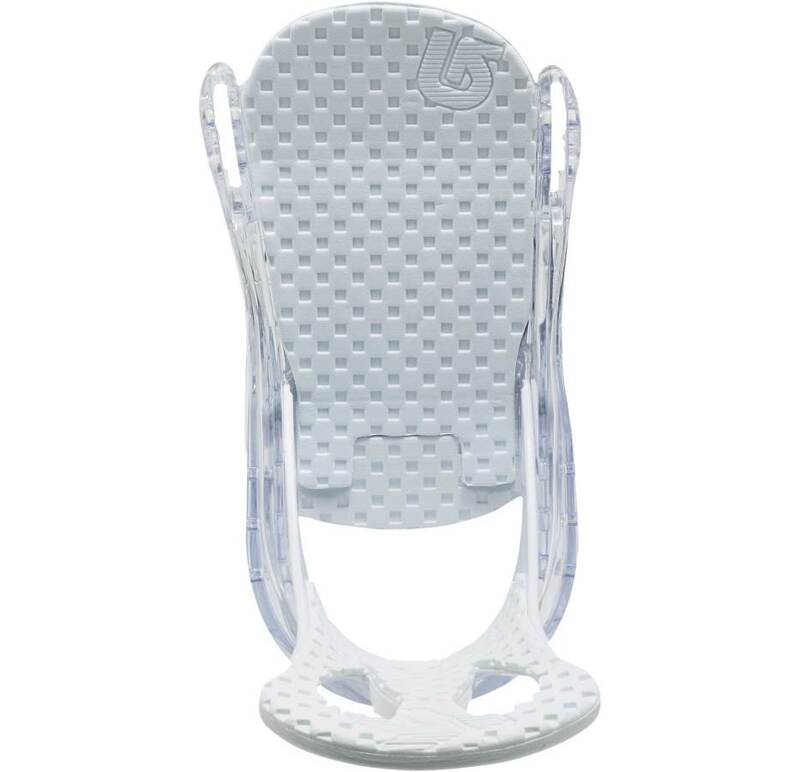 Shock Absorption– The 2014 Burton Citizen has much better heel padding than previous models. 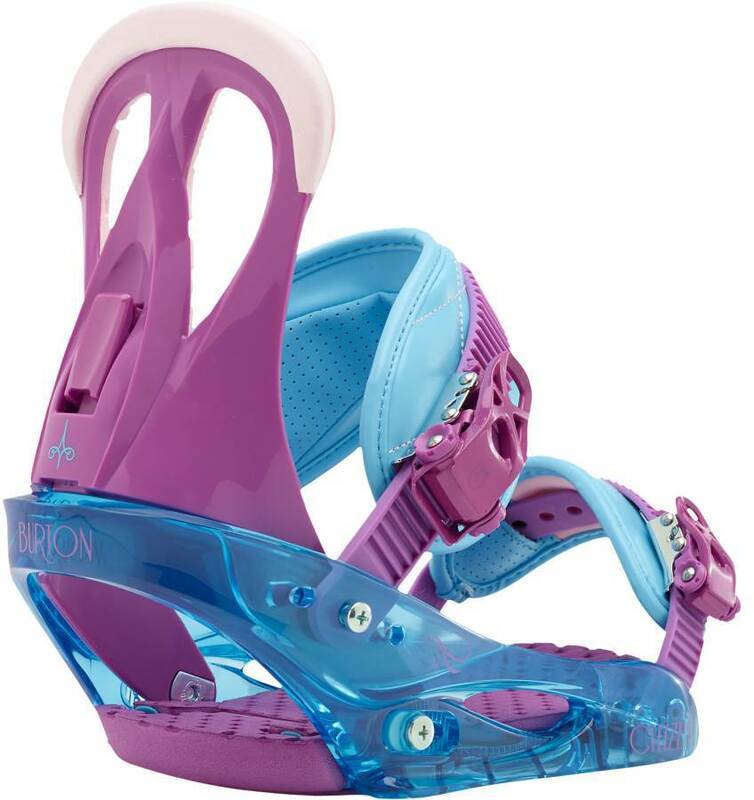 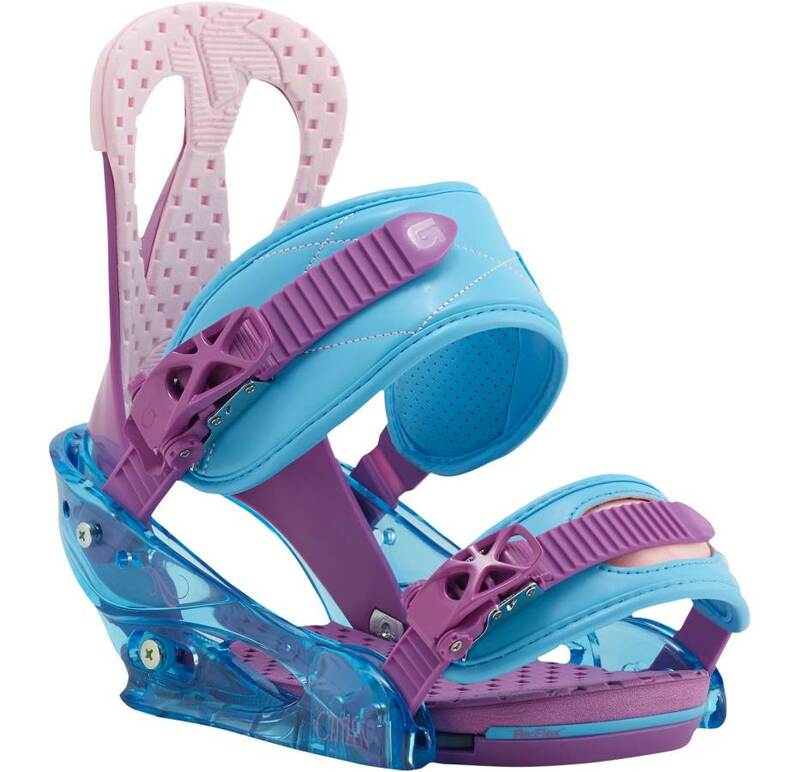 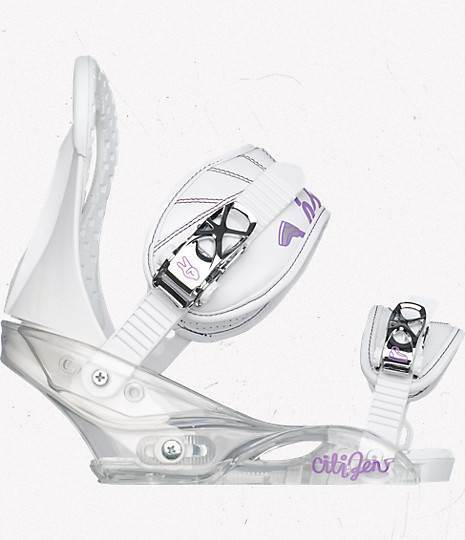 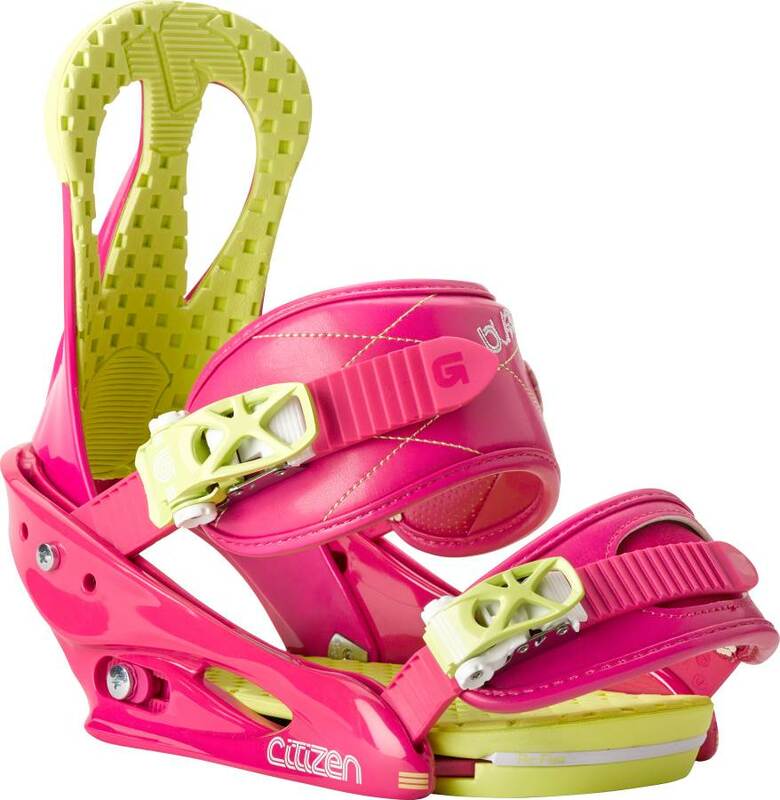 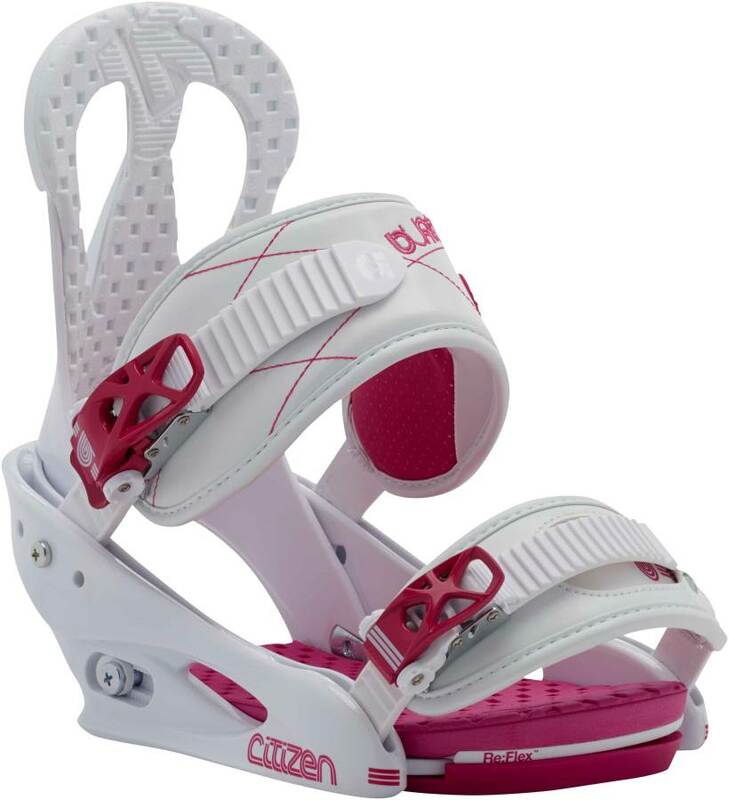 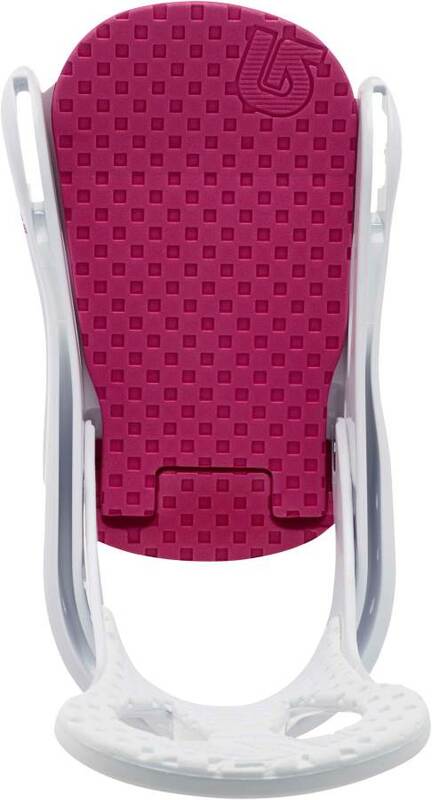 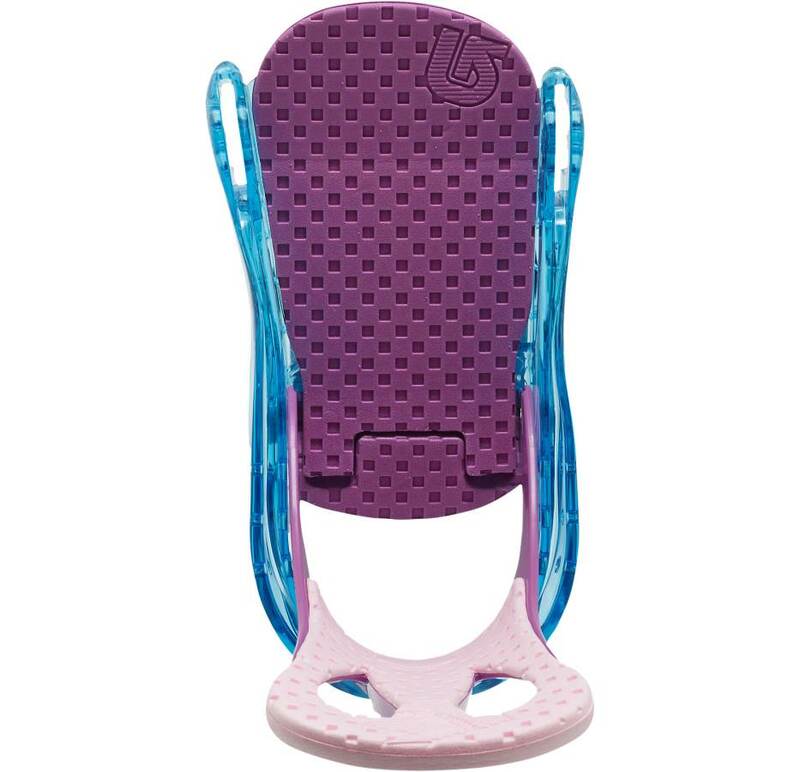 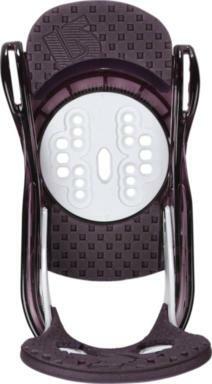 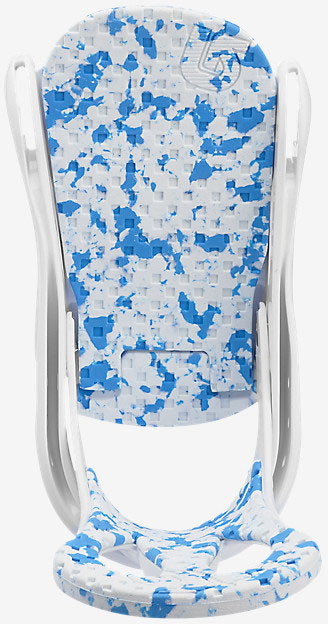 The shock absorption is at a level higher than any beginner binding. 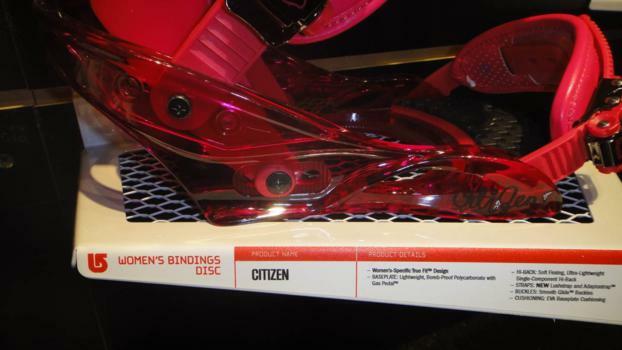 As you can see the Citizen has significant EVA foam at the heel of the binding. 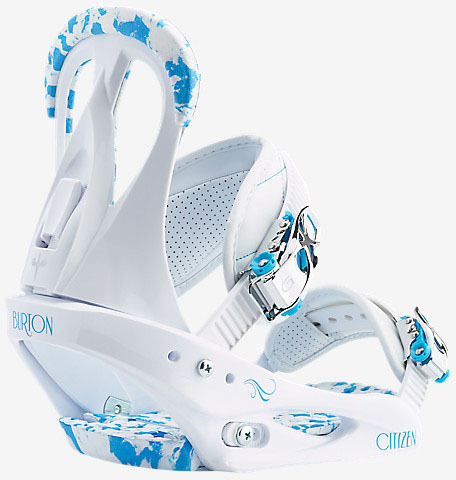 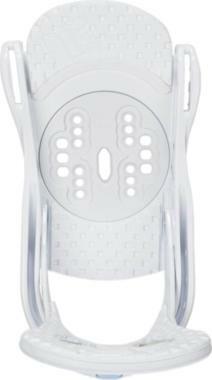 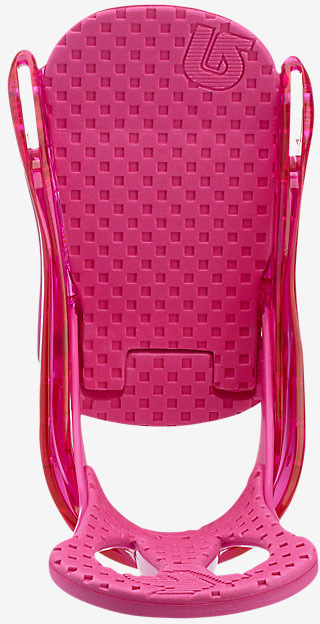 It’s not going to compete with the higher end Burton bindings but is far better than most beginner bindings out there. 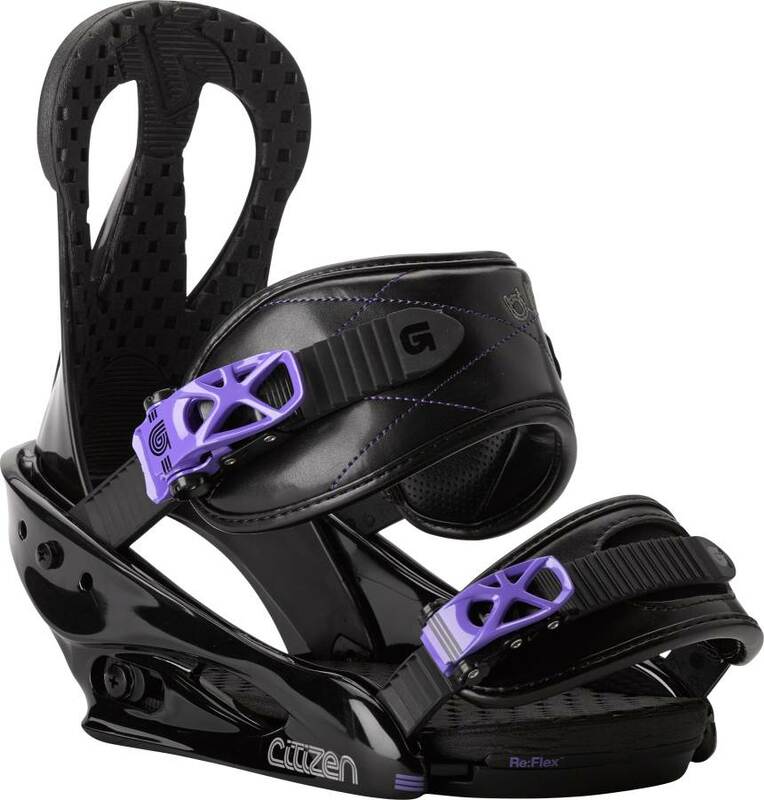 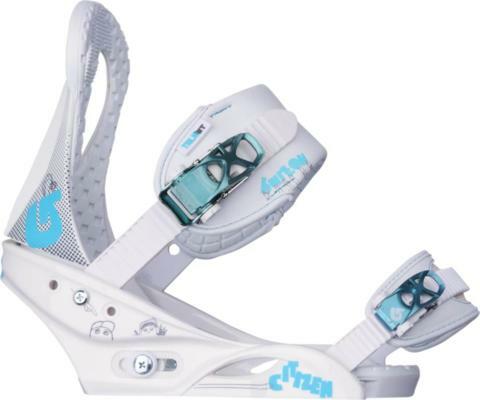 We are pretty stoked on this binding for a beginner but if you plan on progressing quickly or riding many days during the season then go with something a little better. 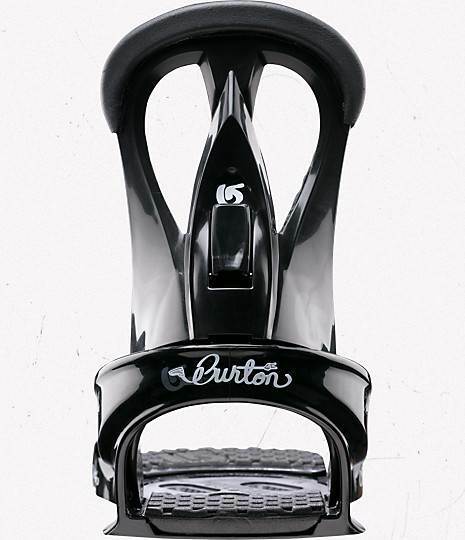 The Burton Citizen will take you to the next level and when you get there you won’t necessarily have to buy a better binding. 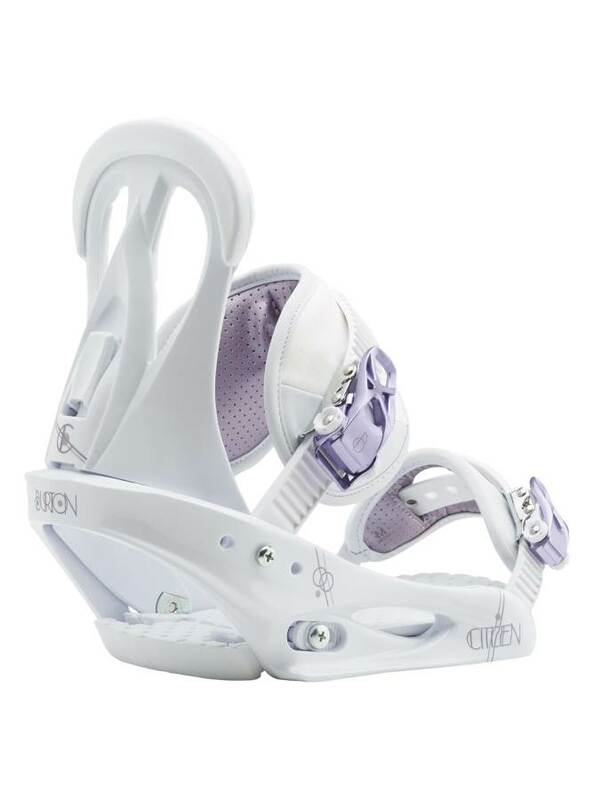 There is also a one strap binding called the Citizen One Up but we feel you should just get used to 2 straps and also enjoy more support. 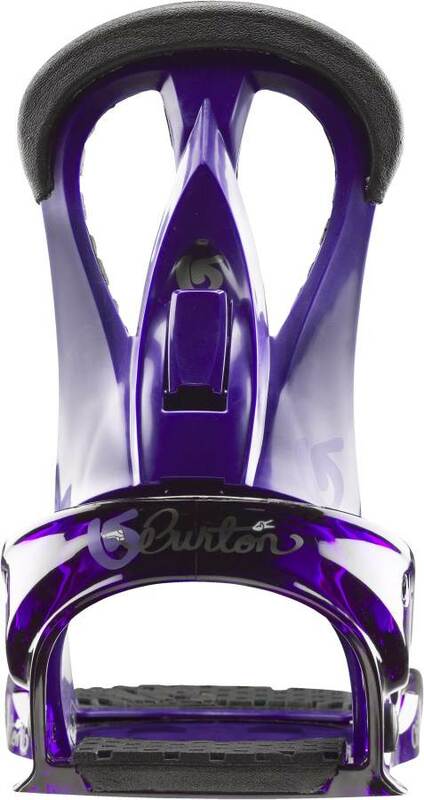 We try to get as many images of the Burton Citizen, but forgive us if they're not all there.